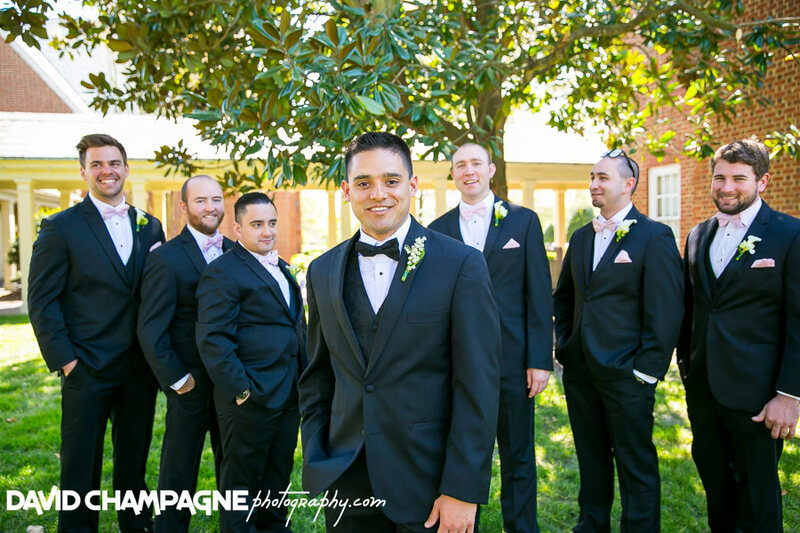 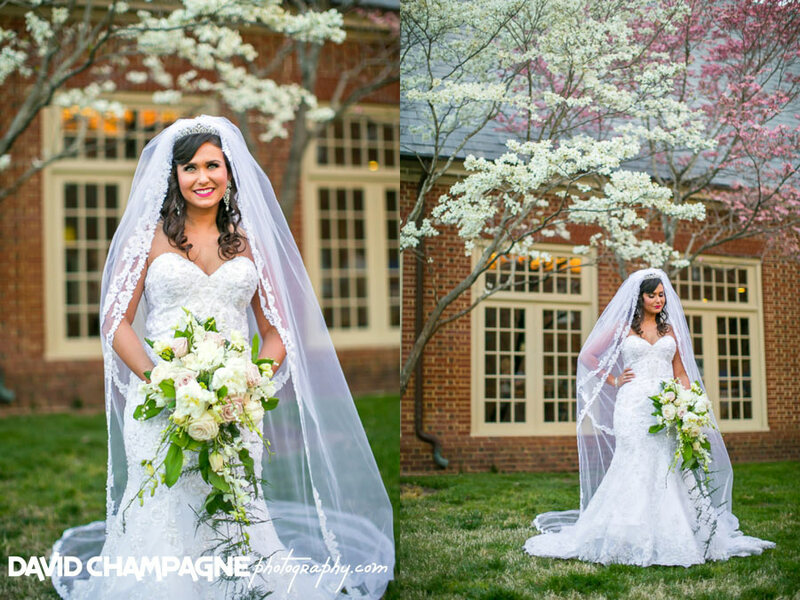 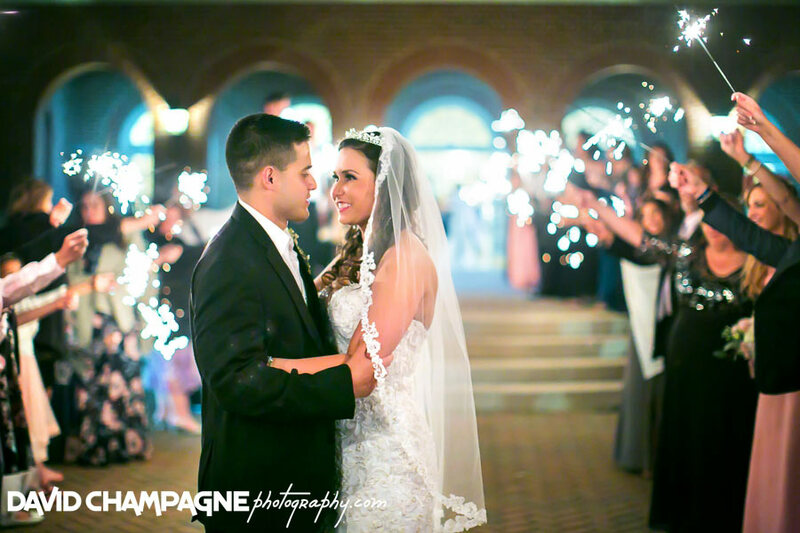 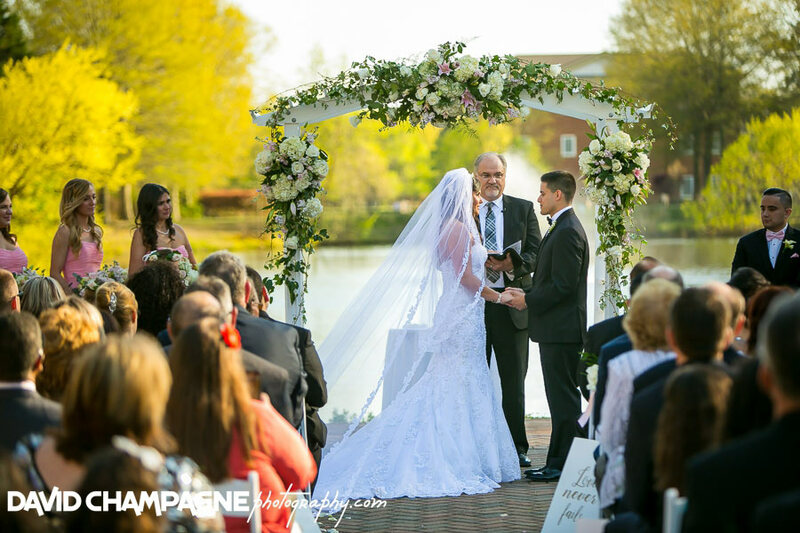 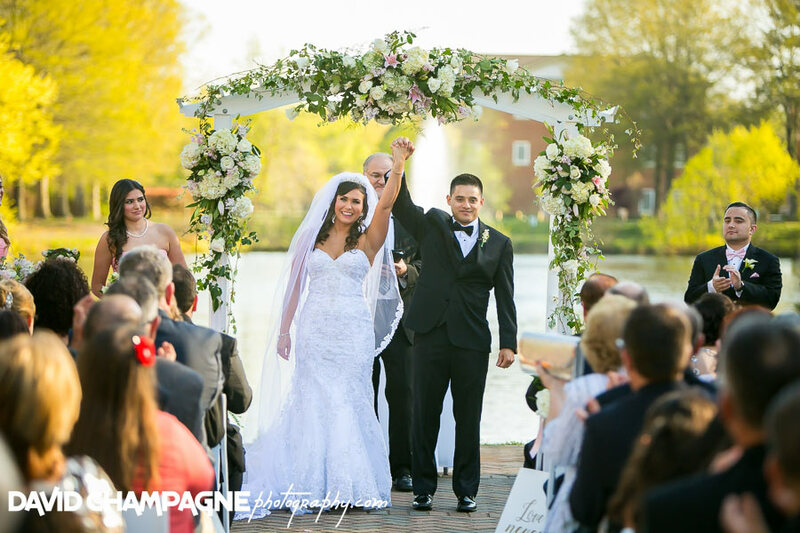 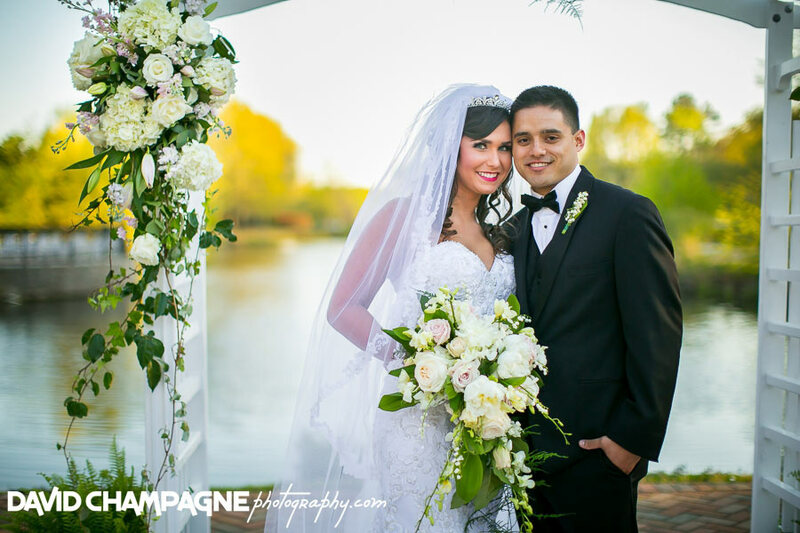 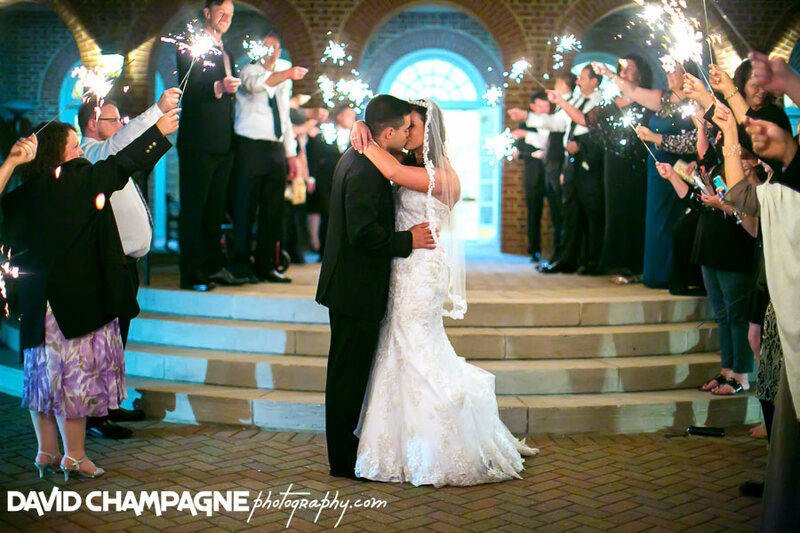 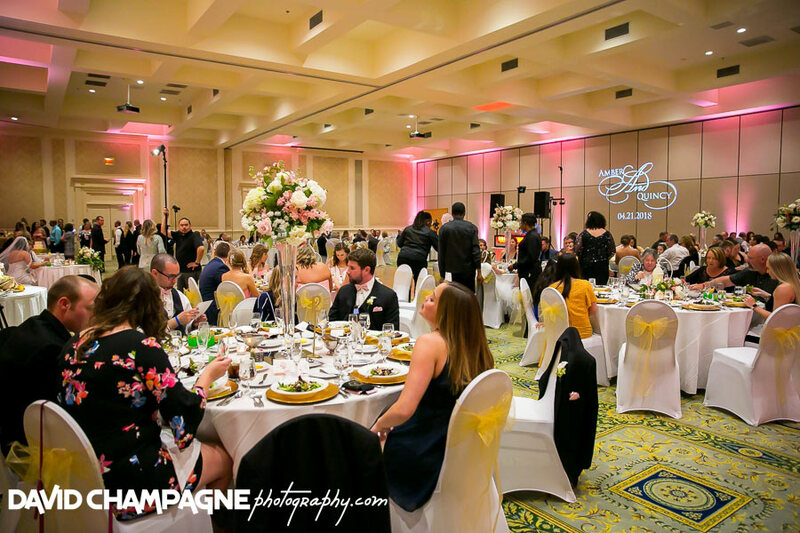 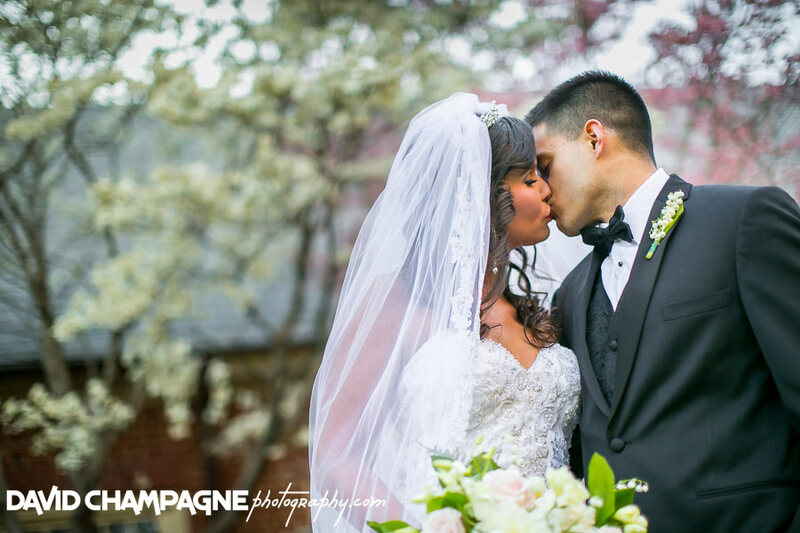 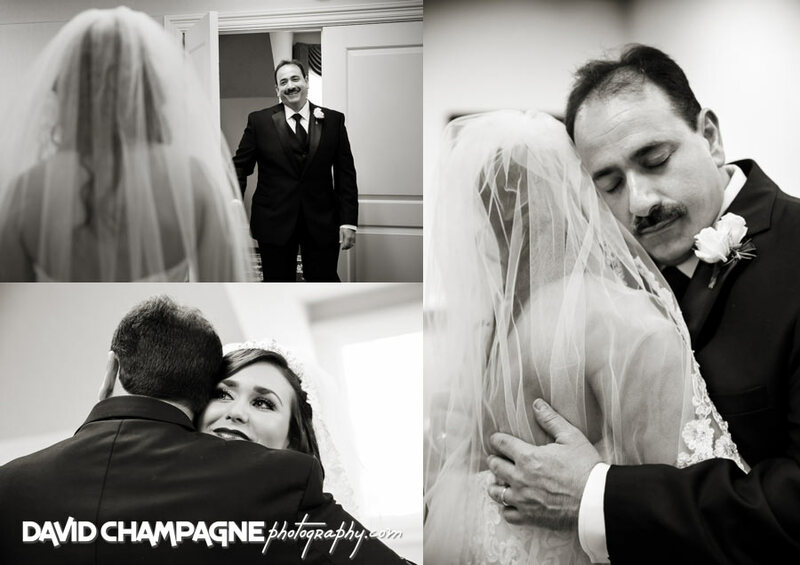 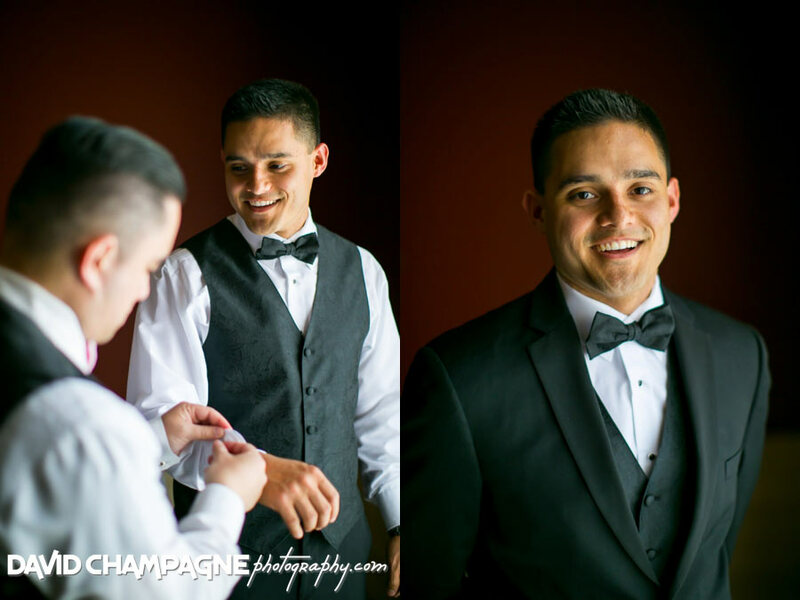 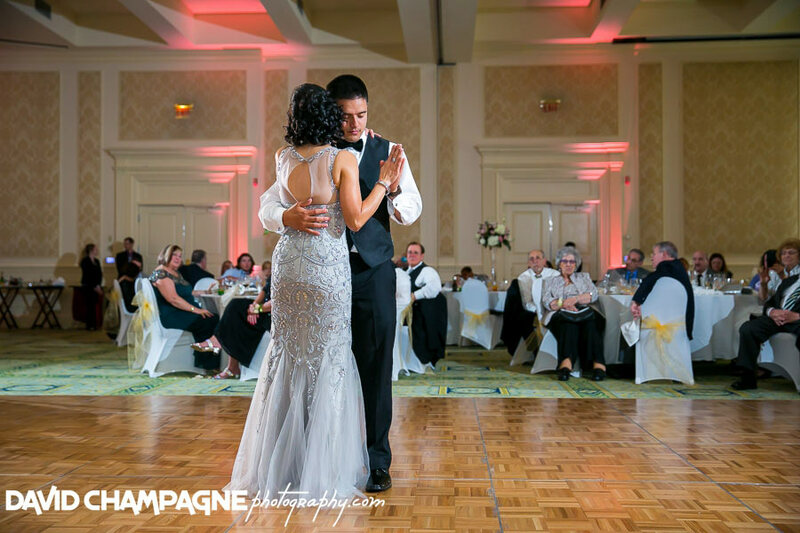 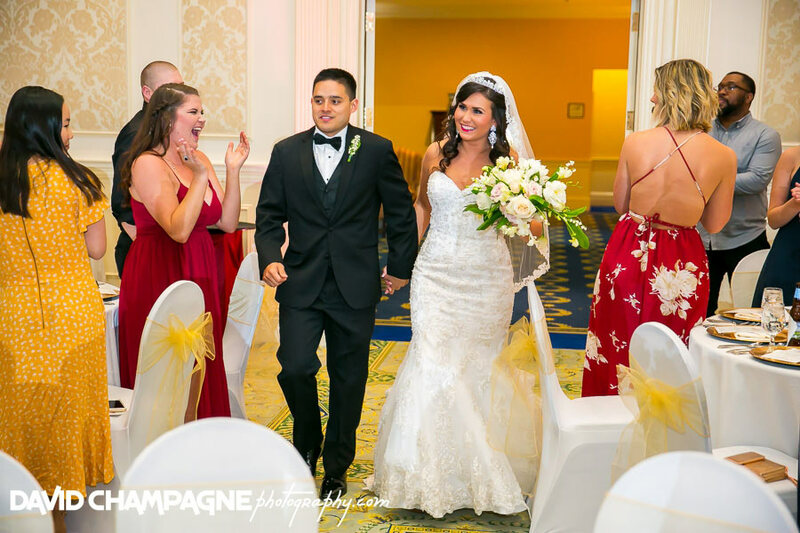 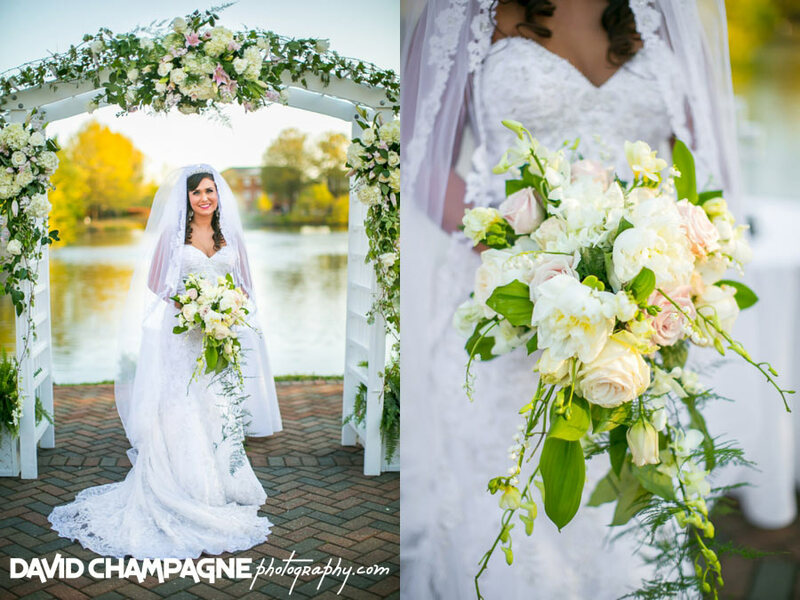 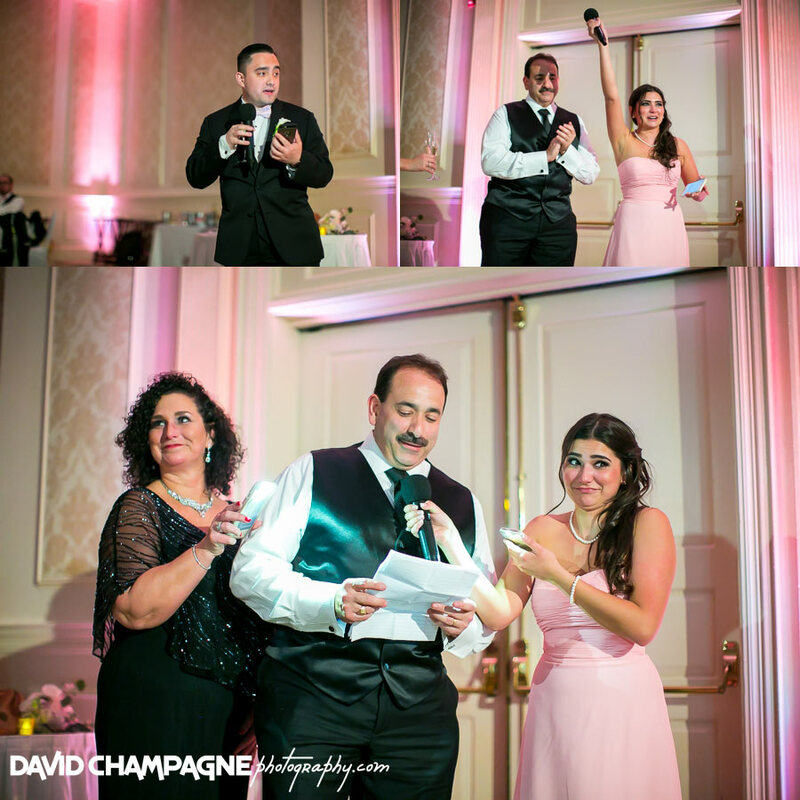 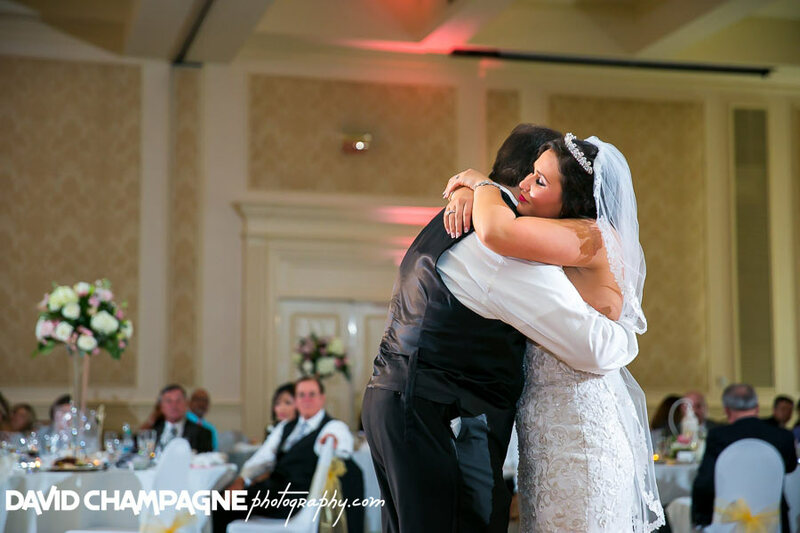 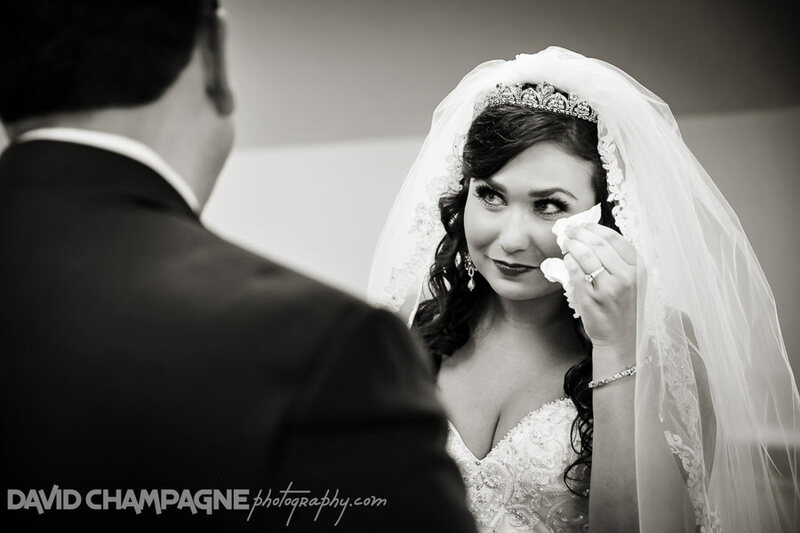 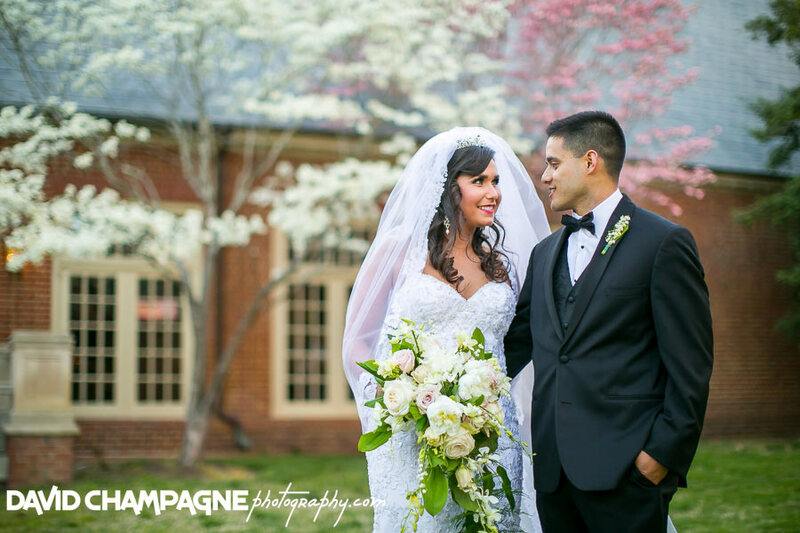 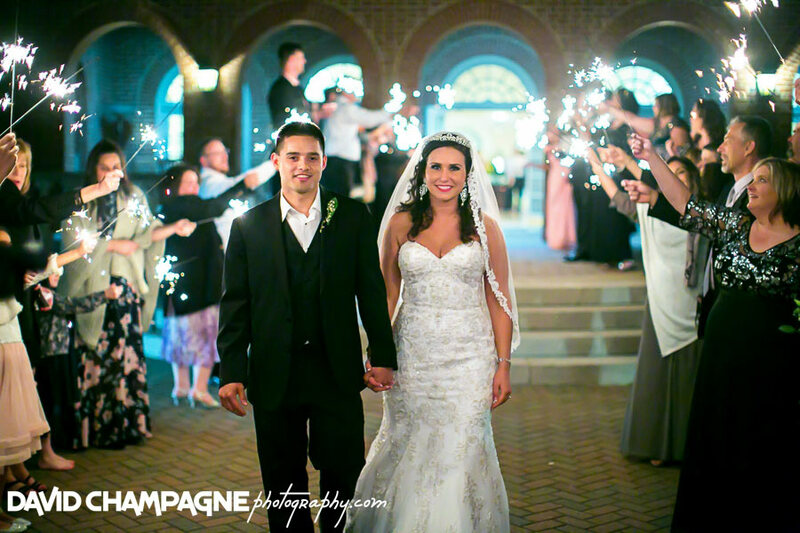 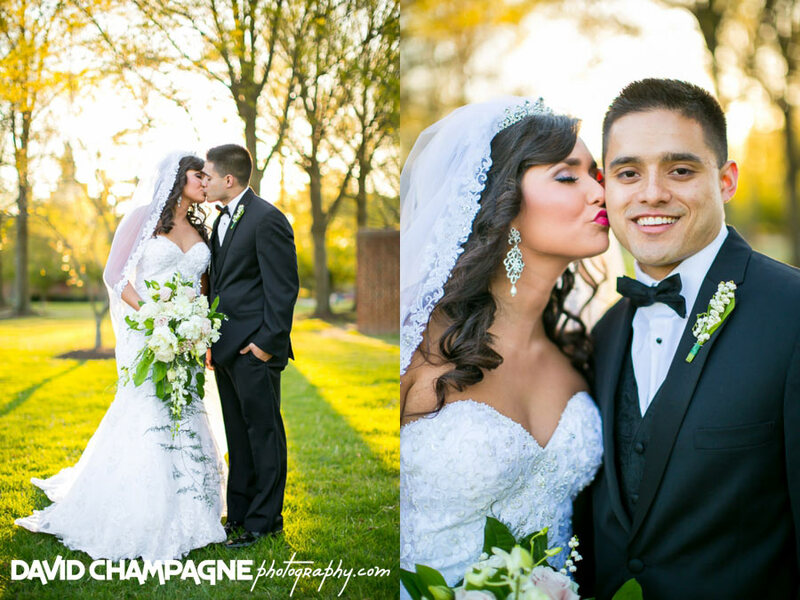 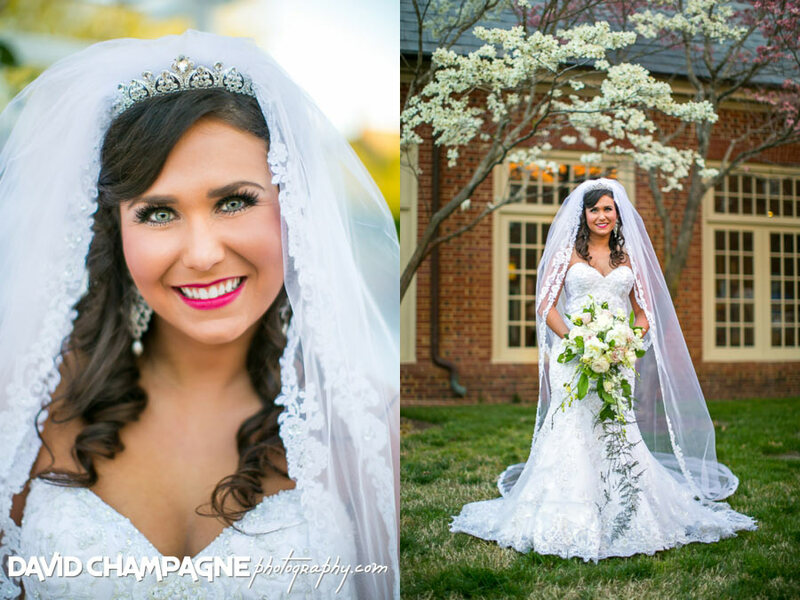 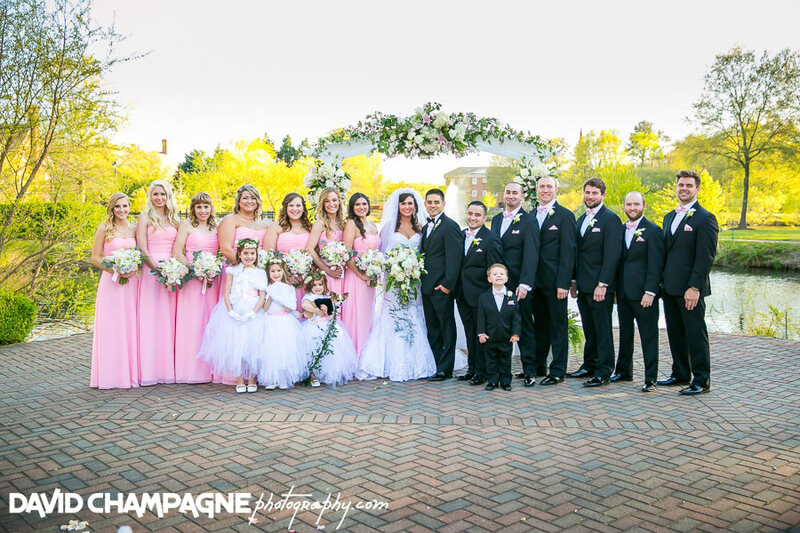 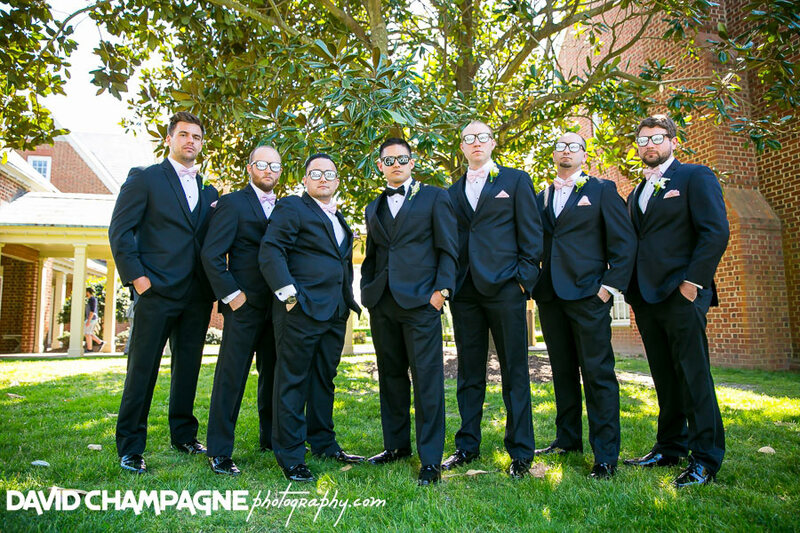 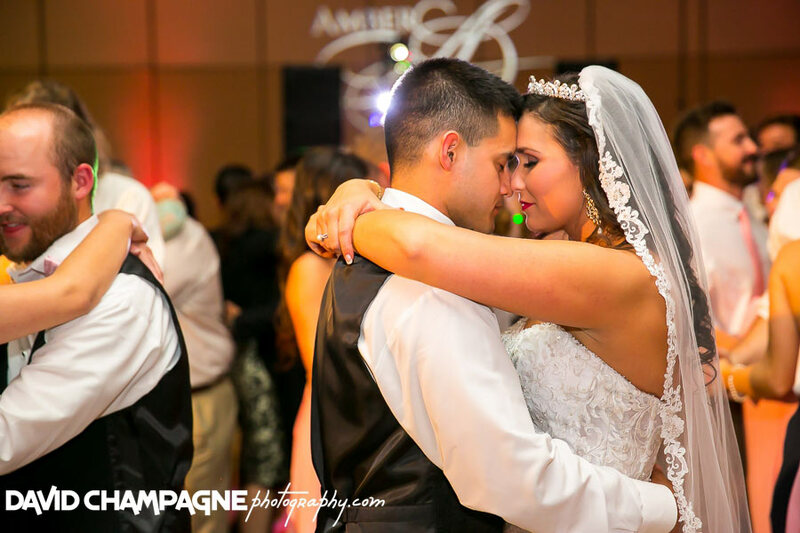 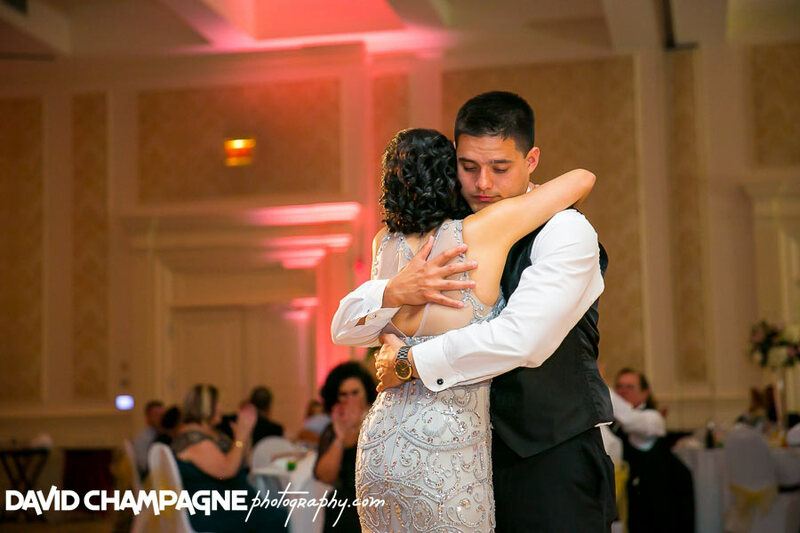 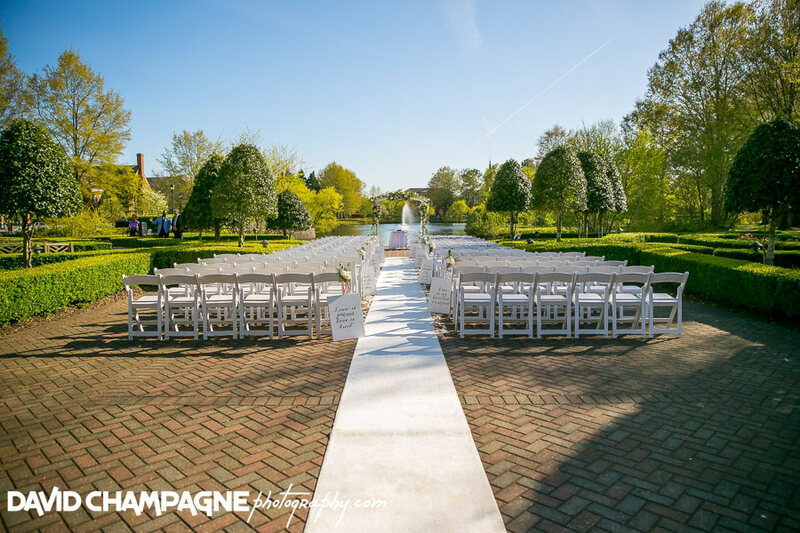 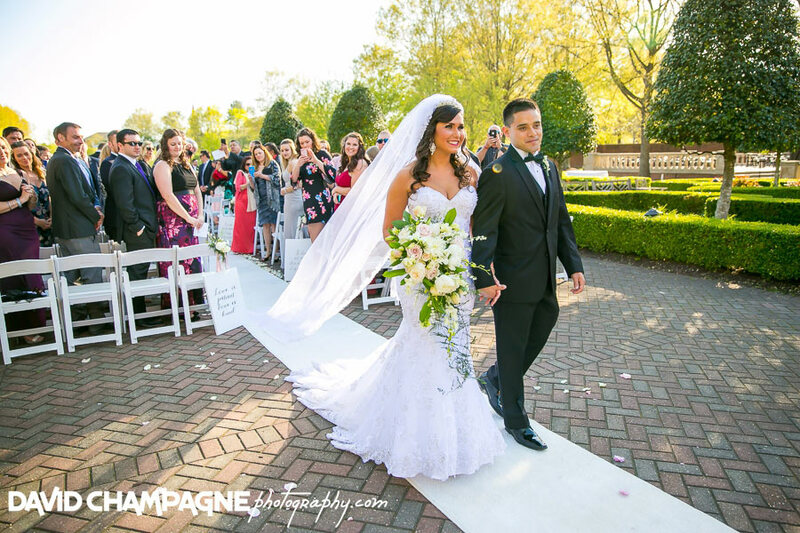 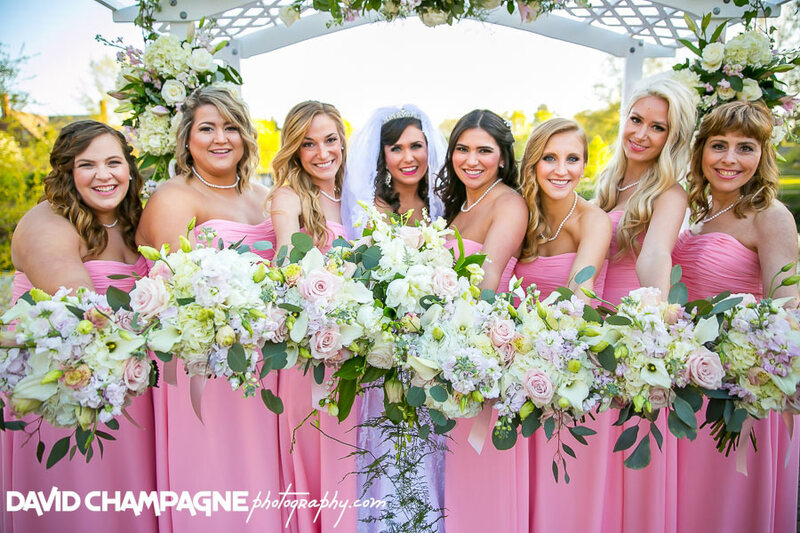 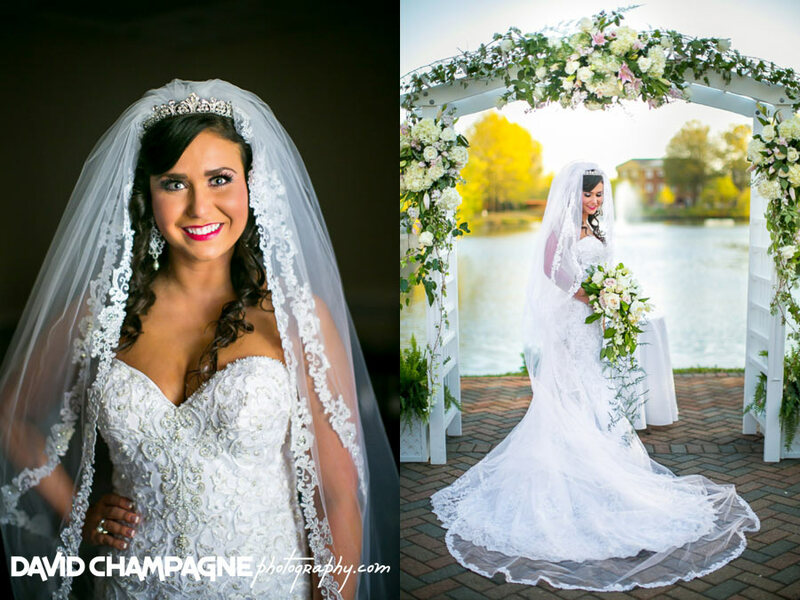 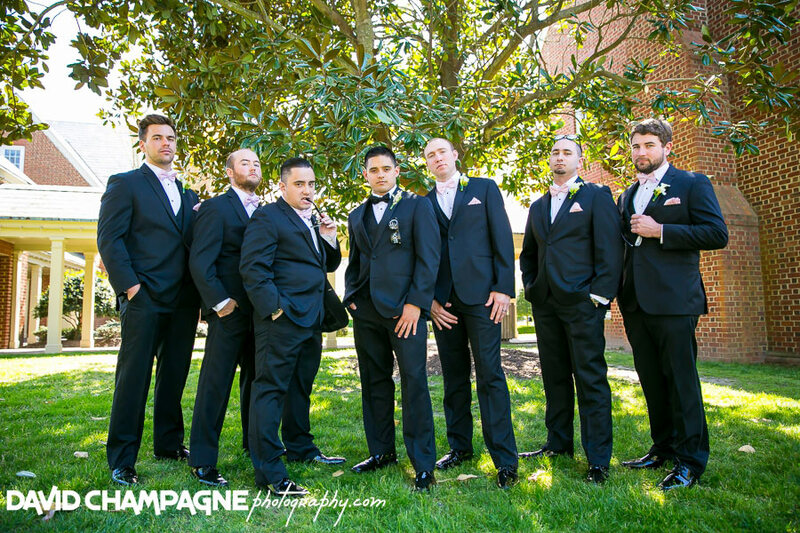 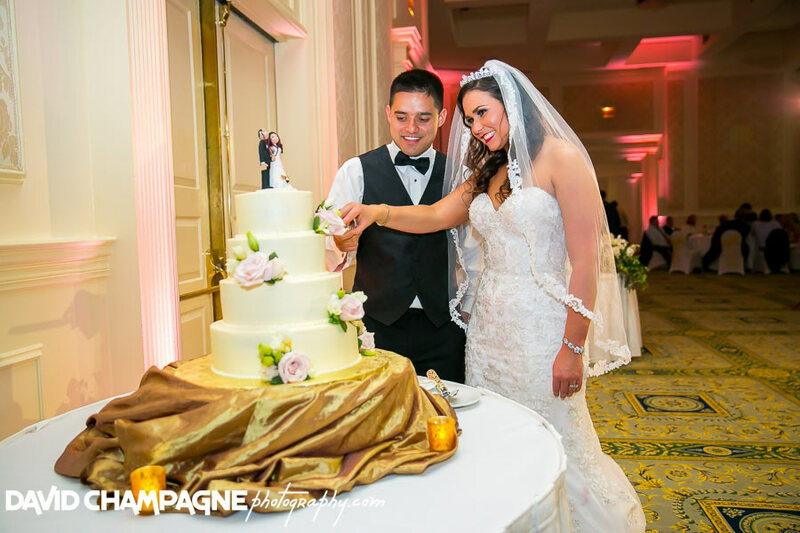 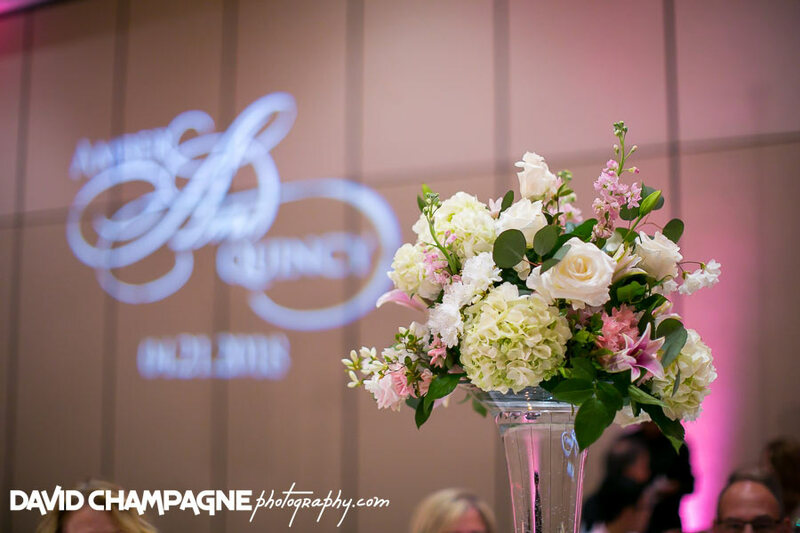 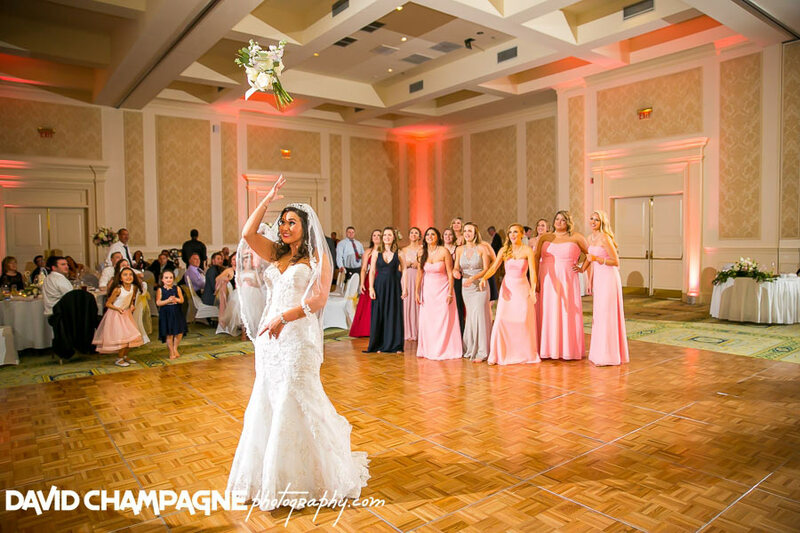 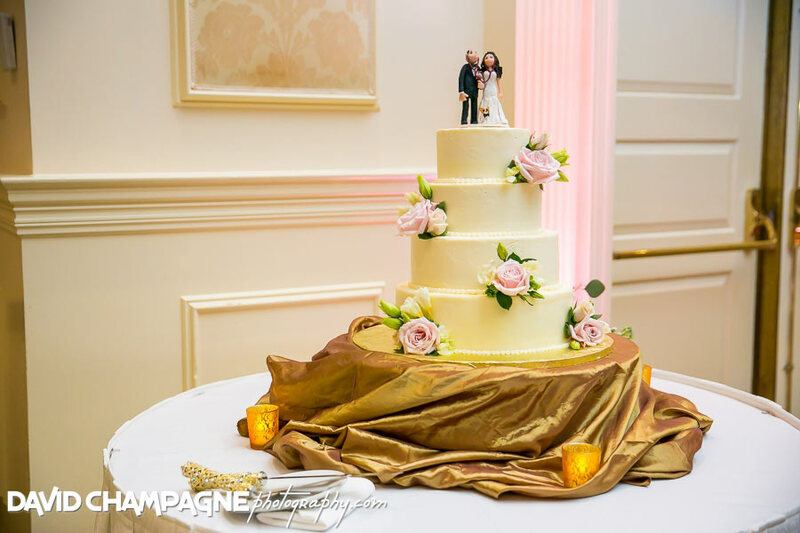 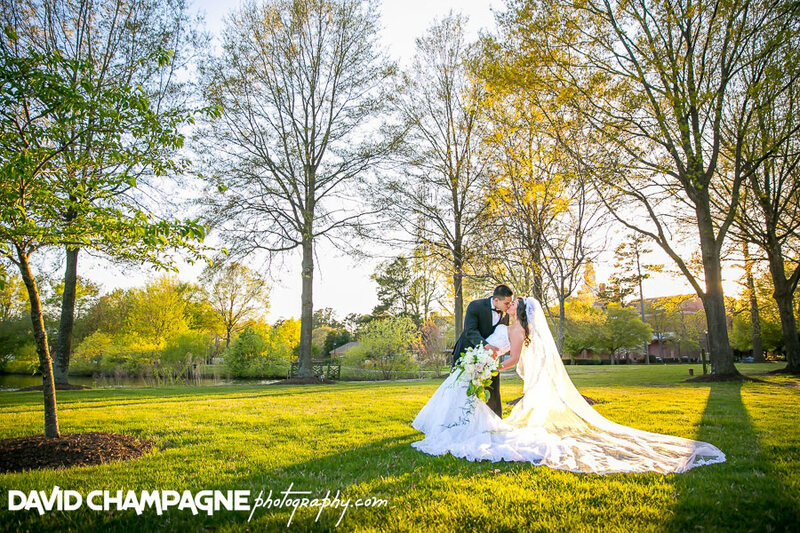 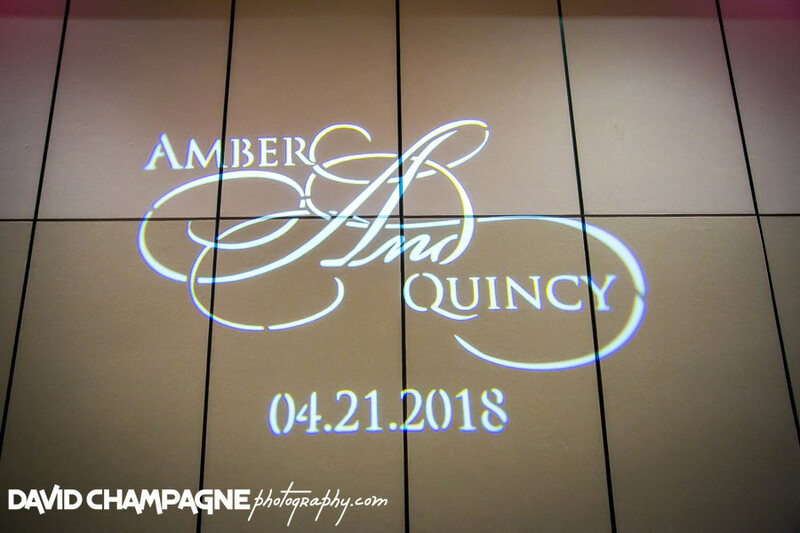 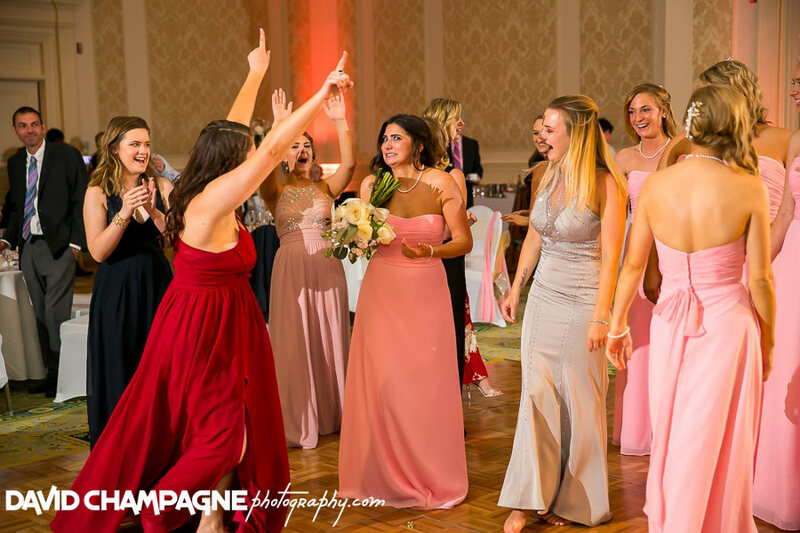 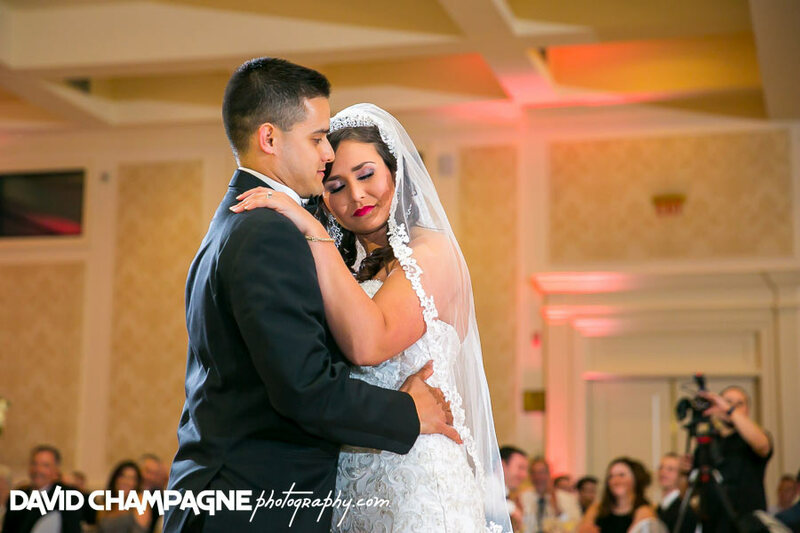 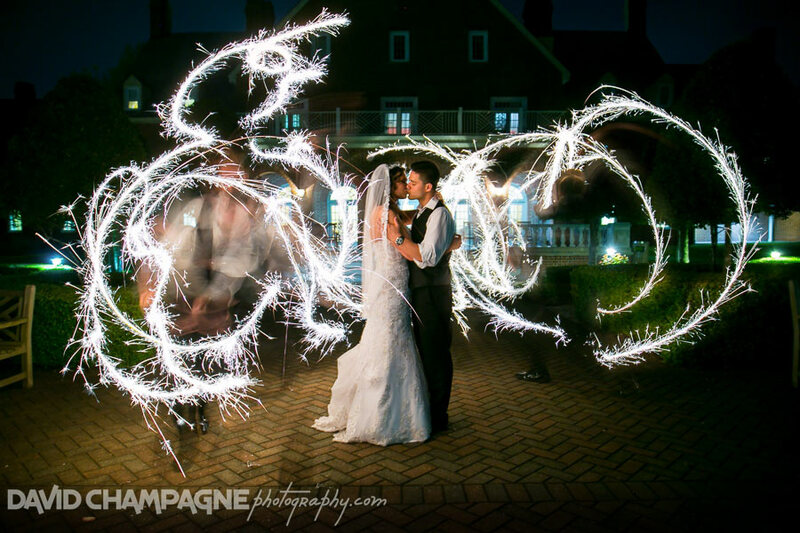 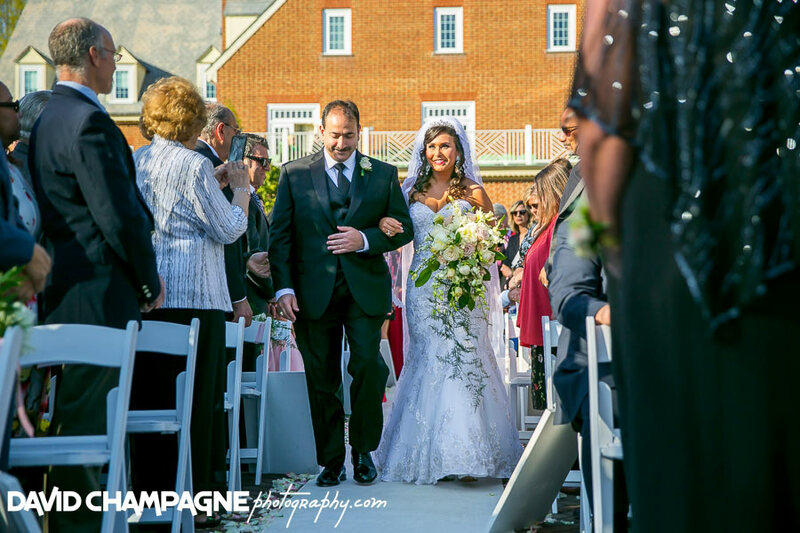 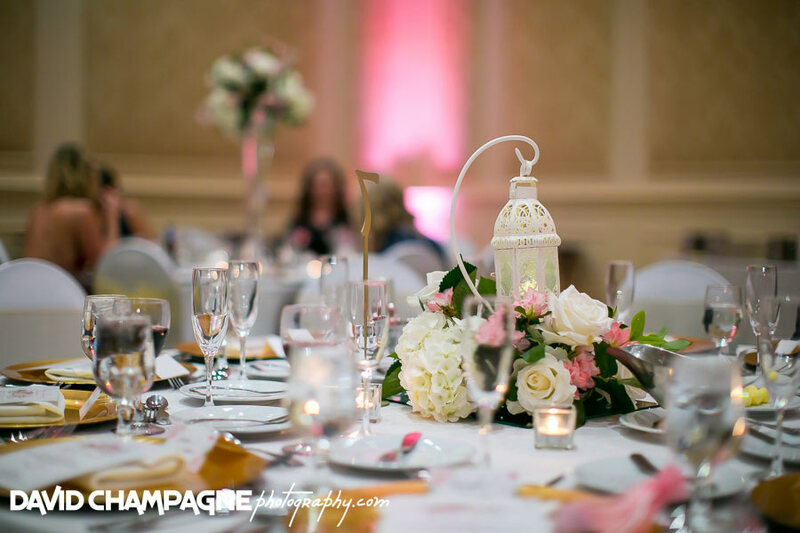 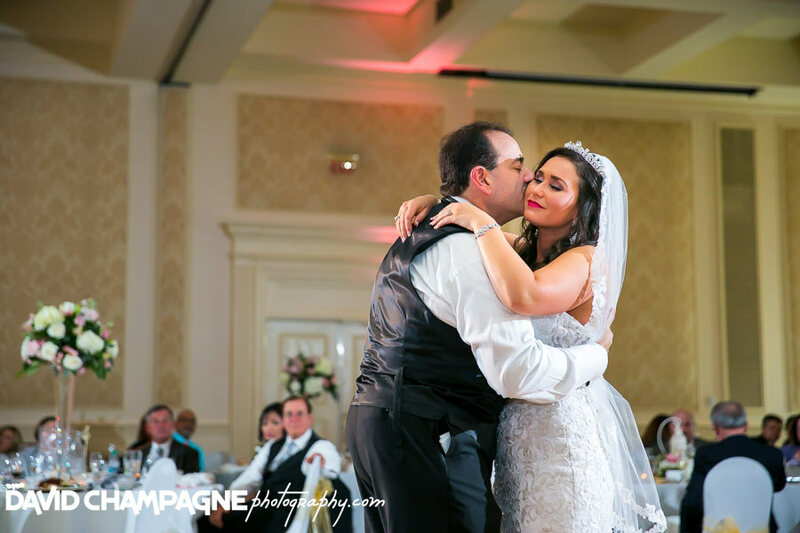 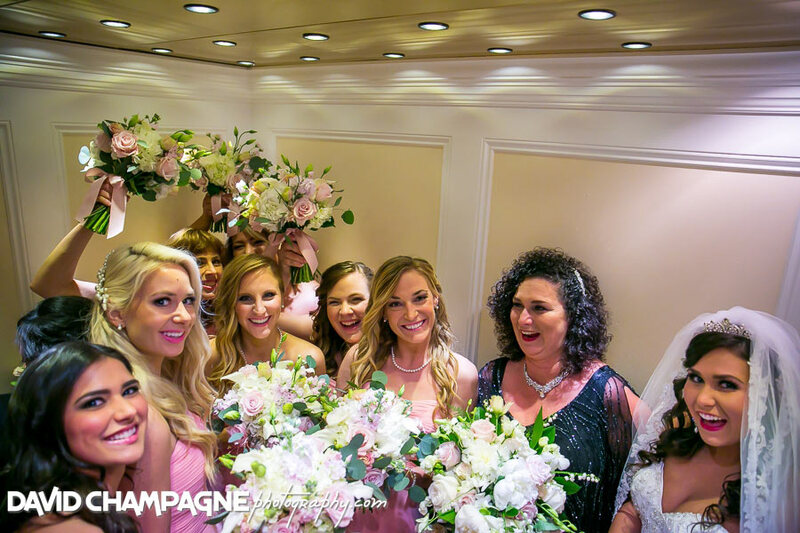 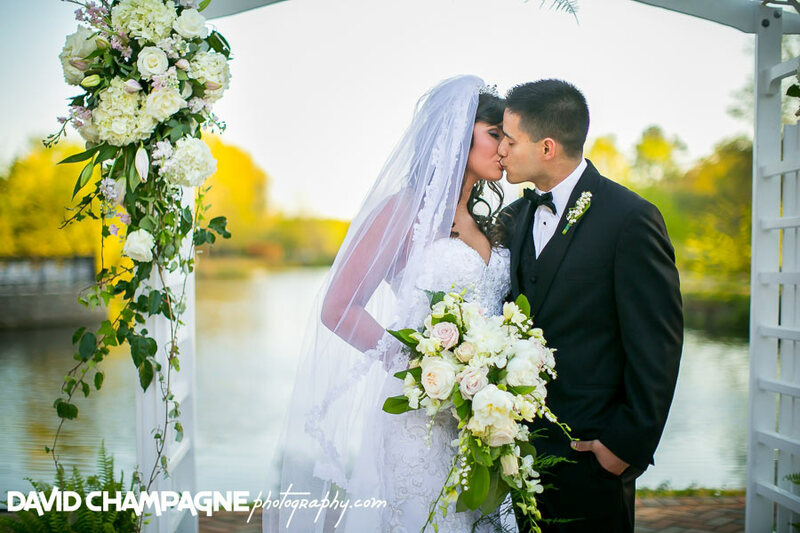 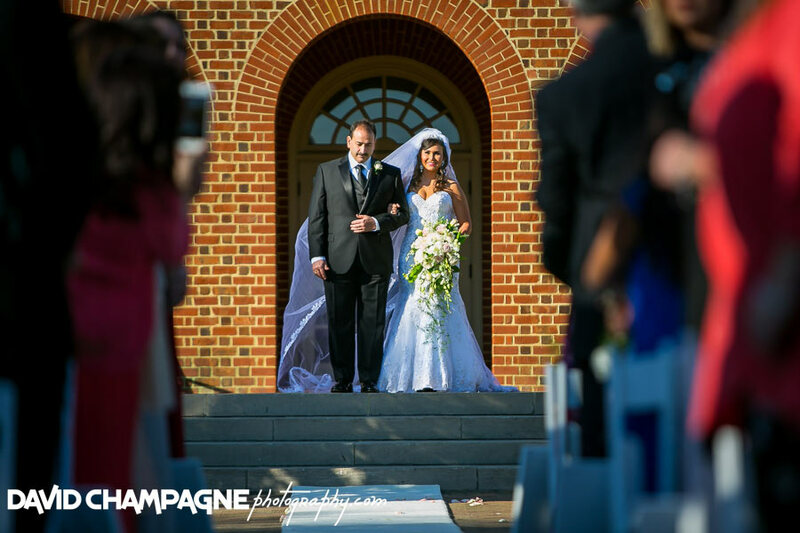 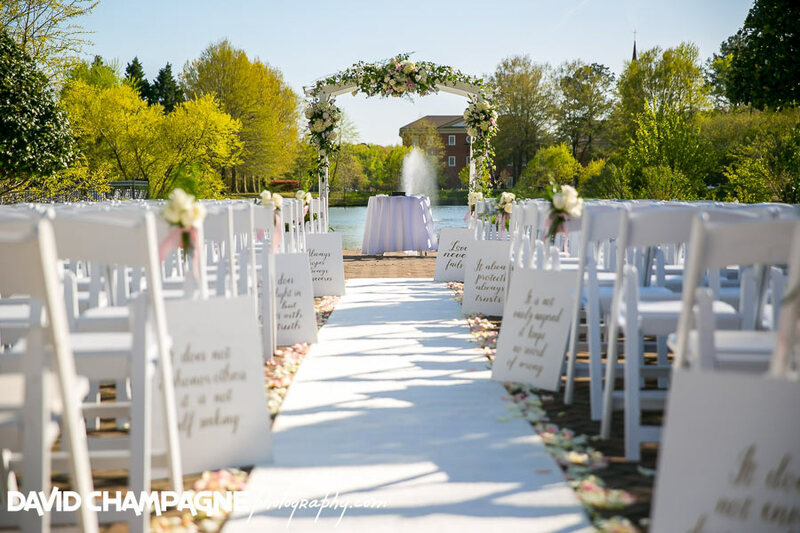 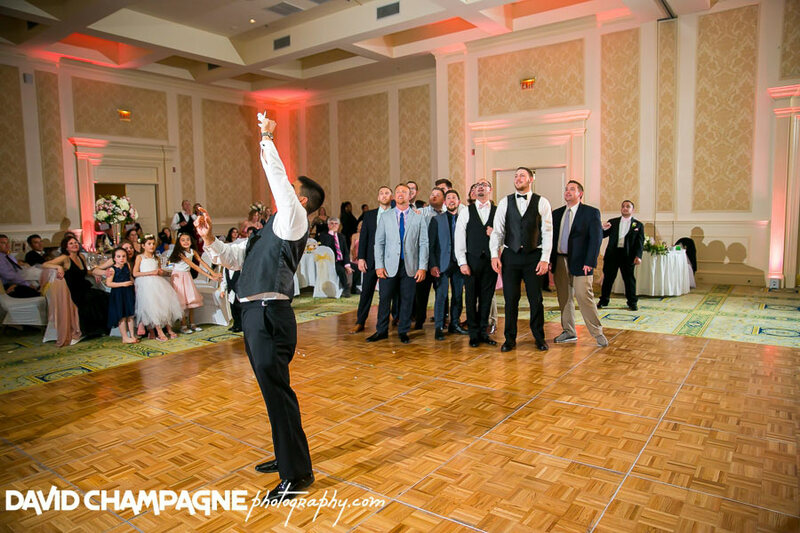 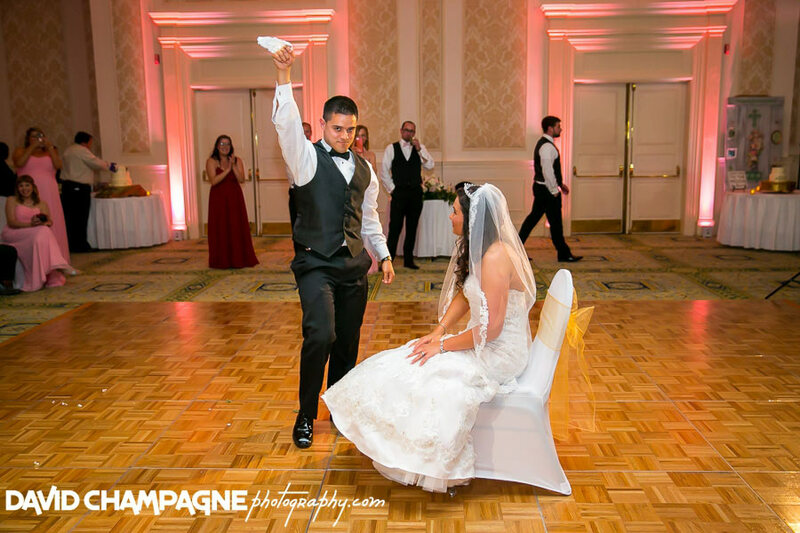 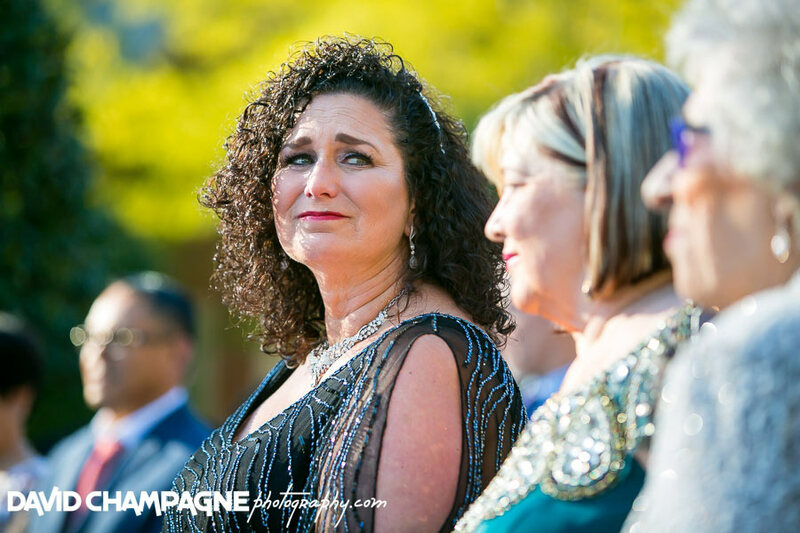 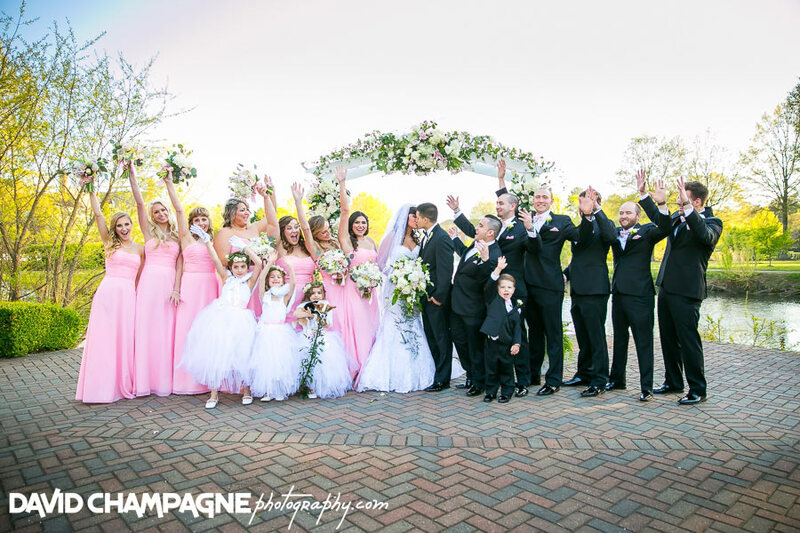 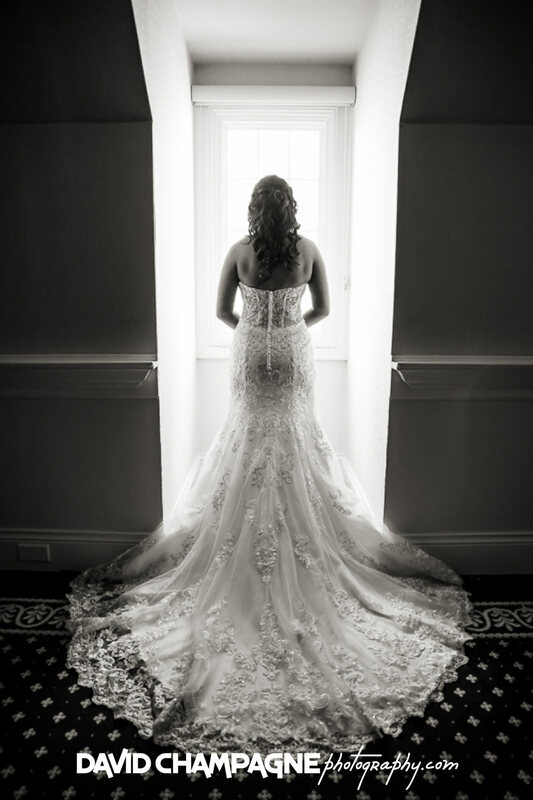 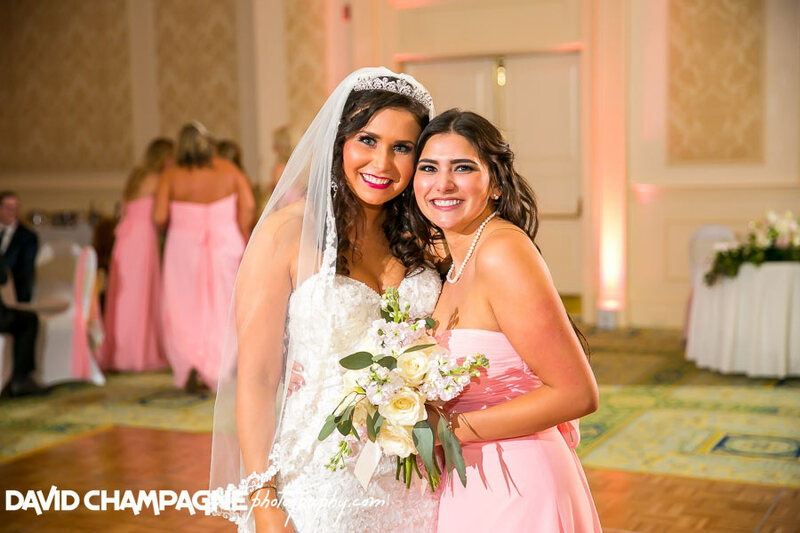 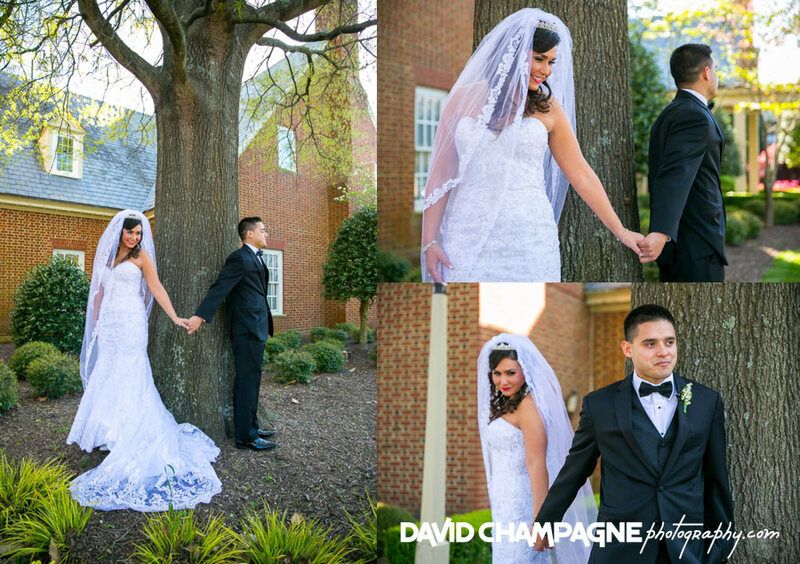 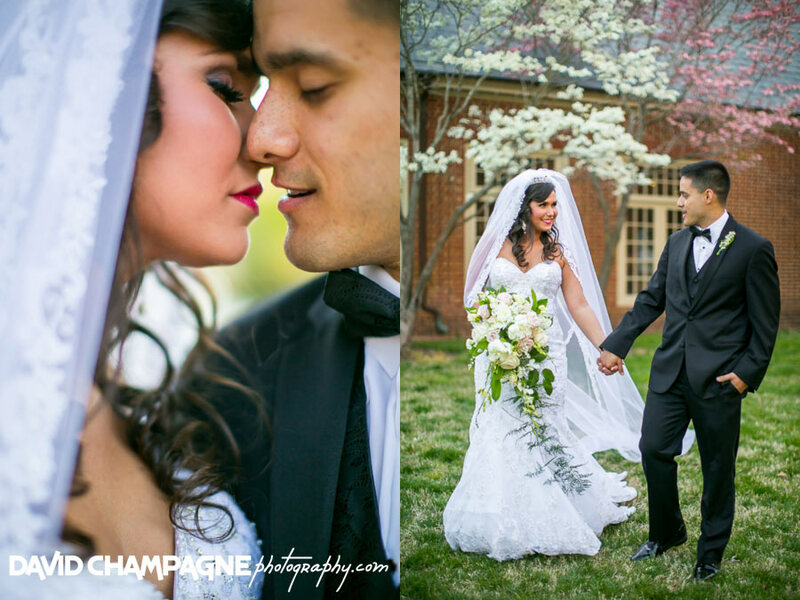 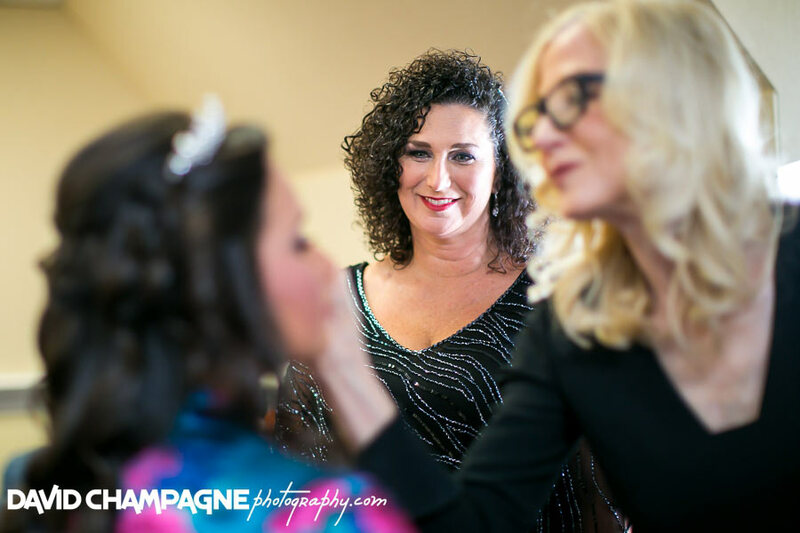 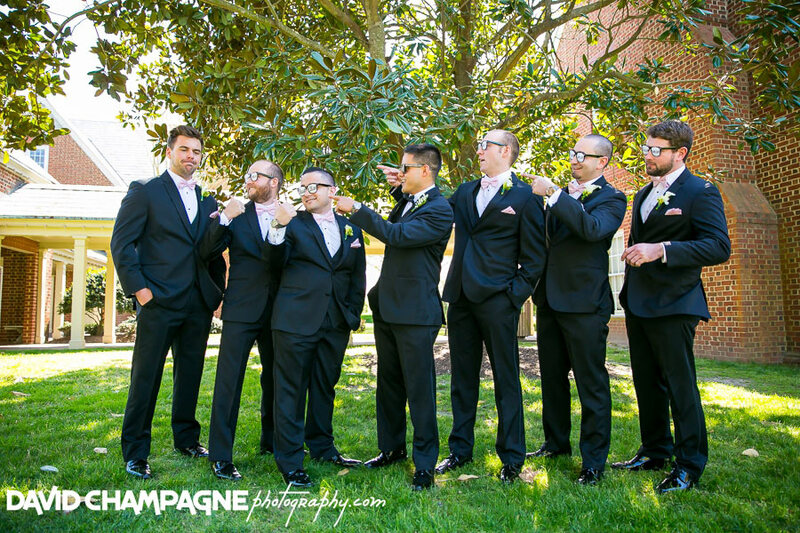 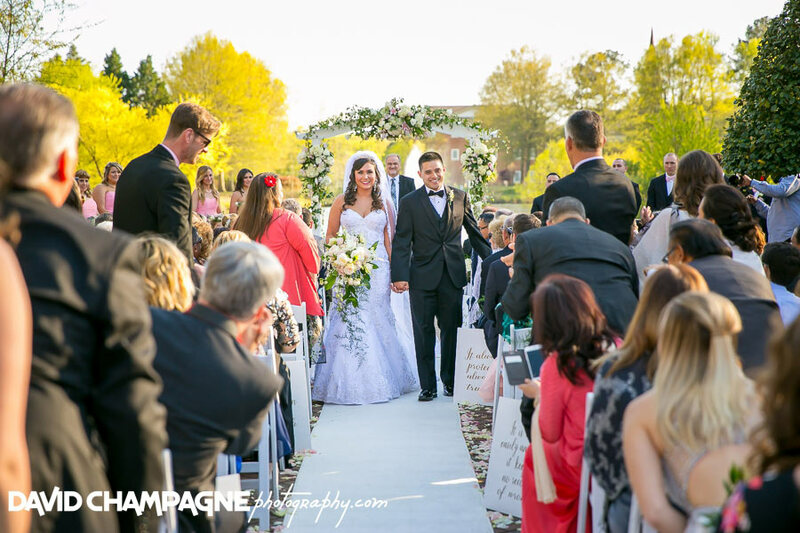 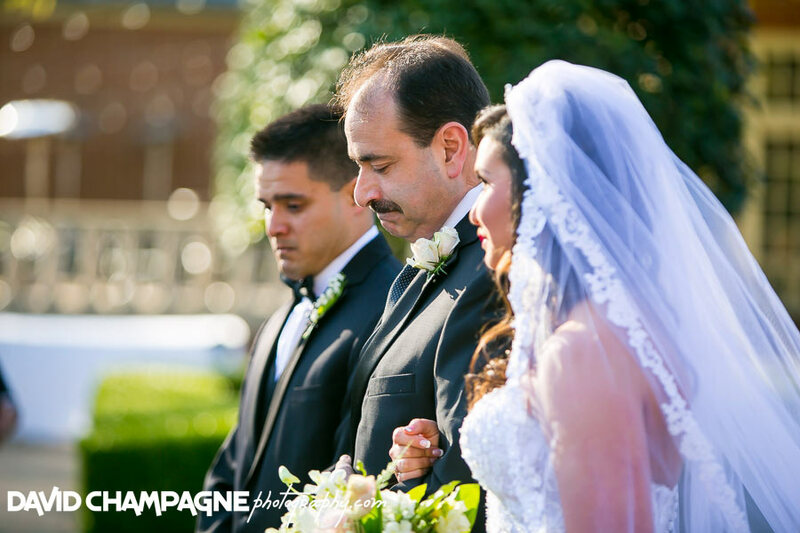 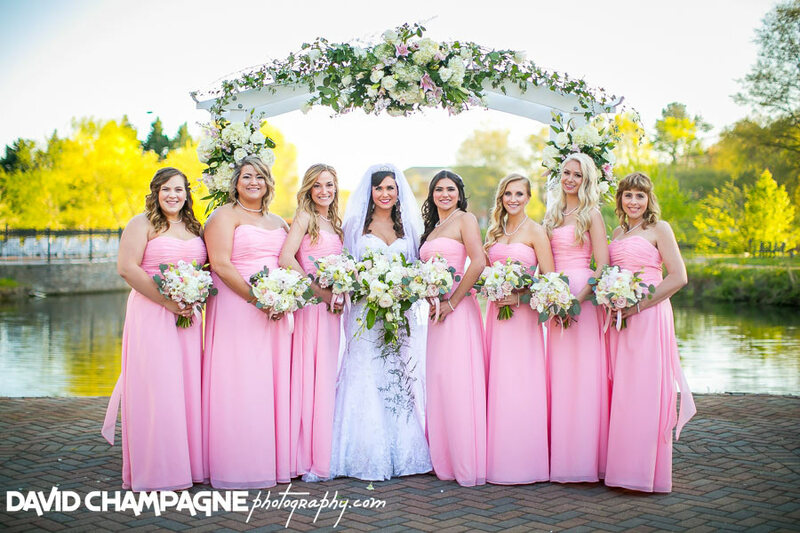 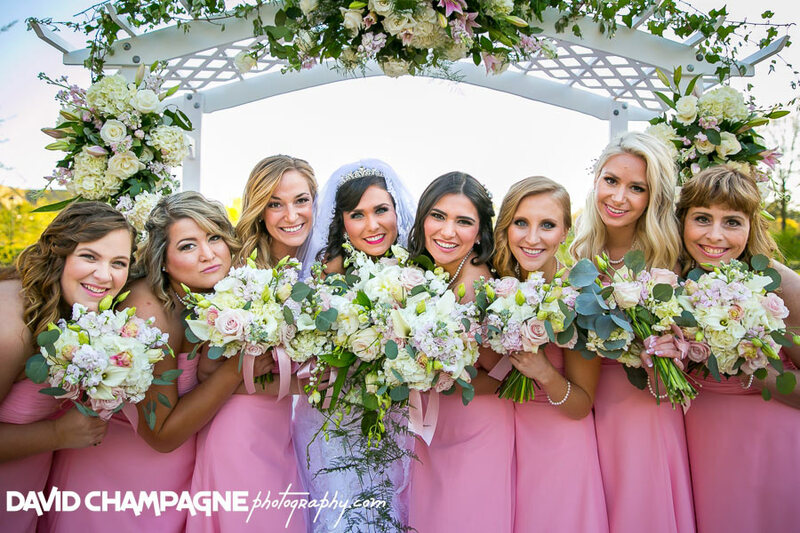 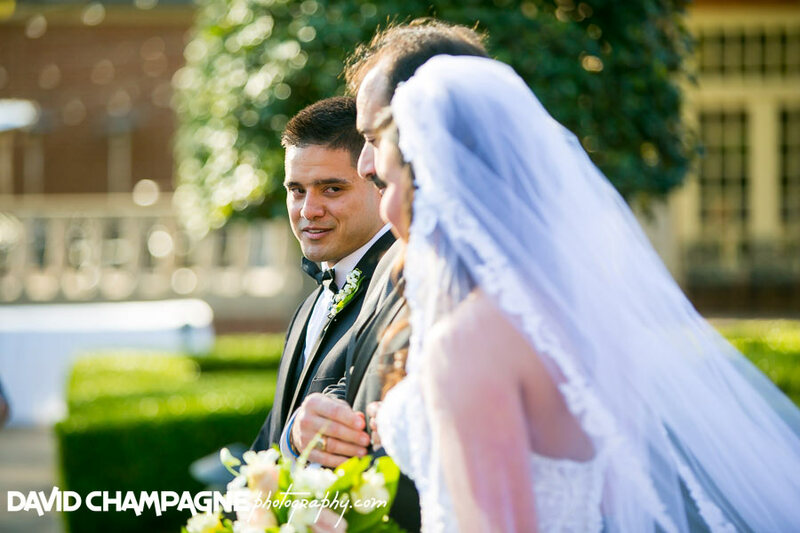 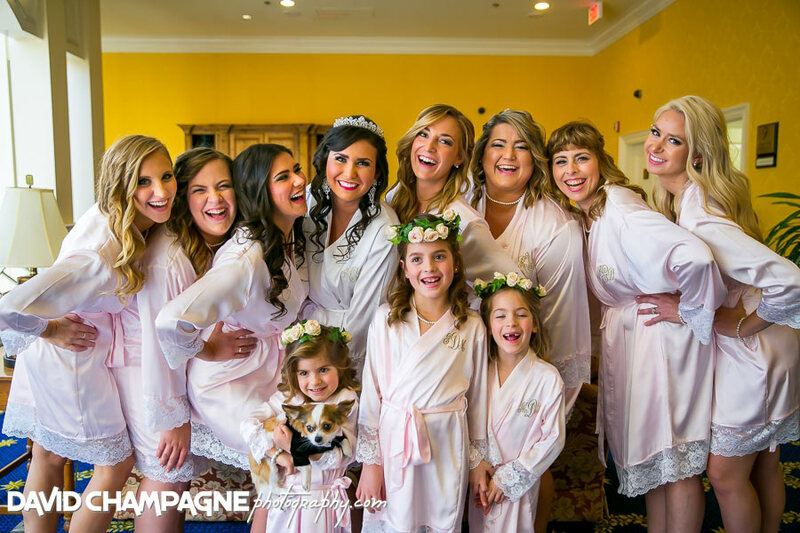 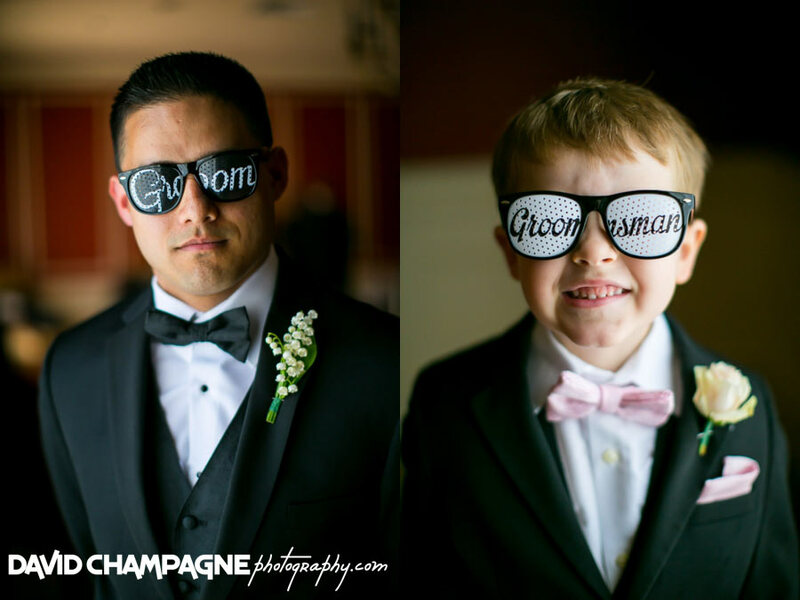 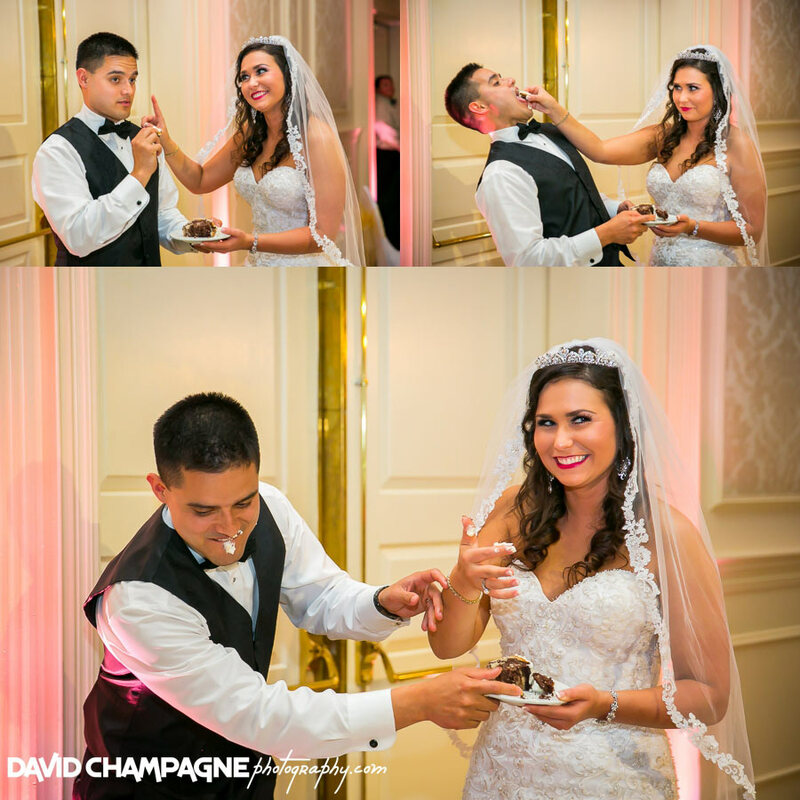 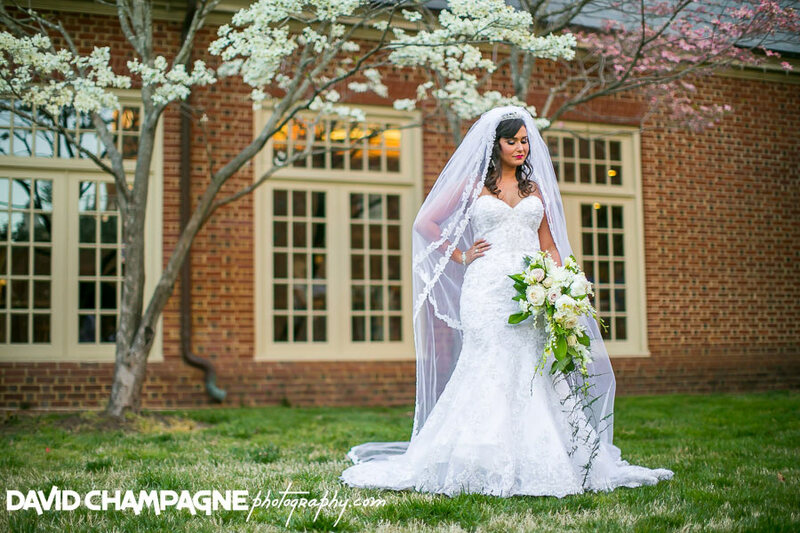 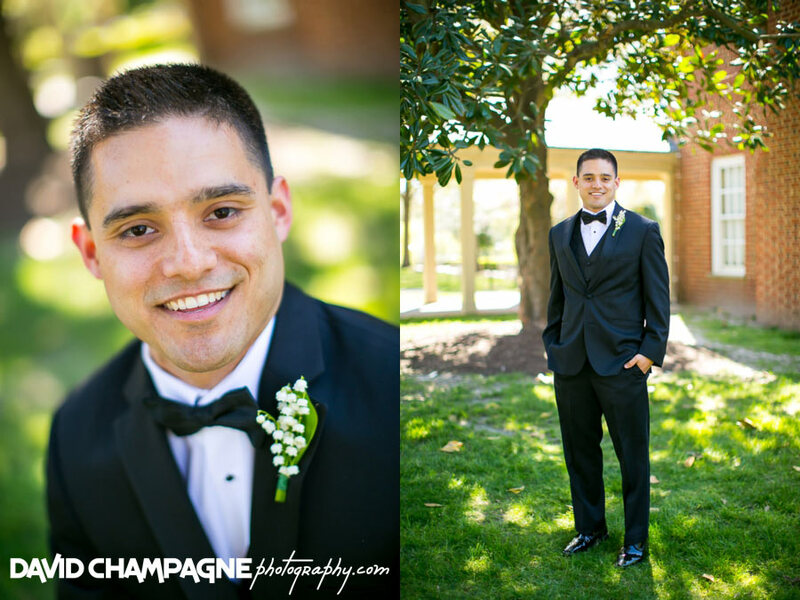 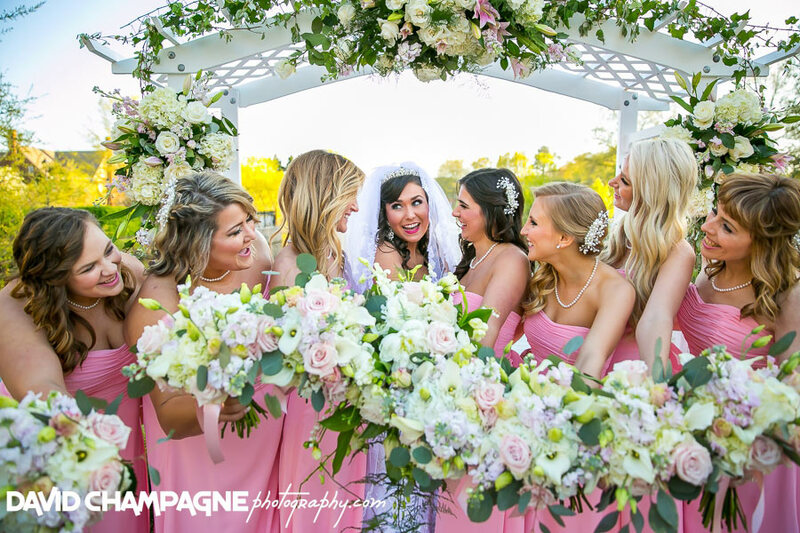 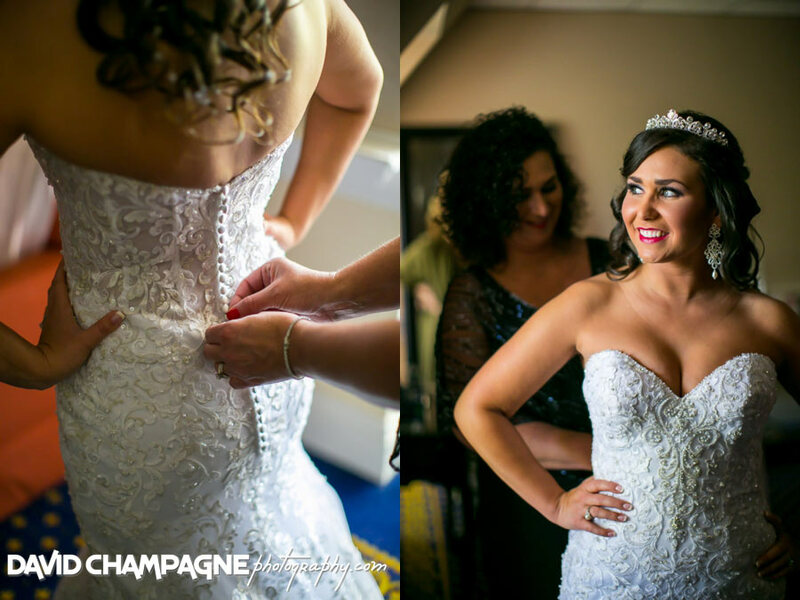 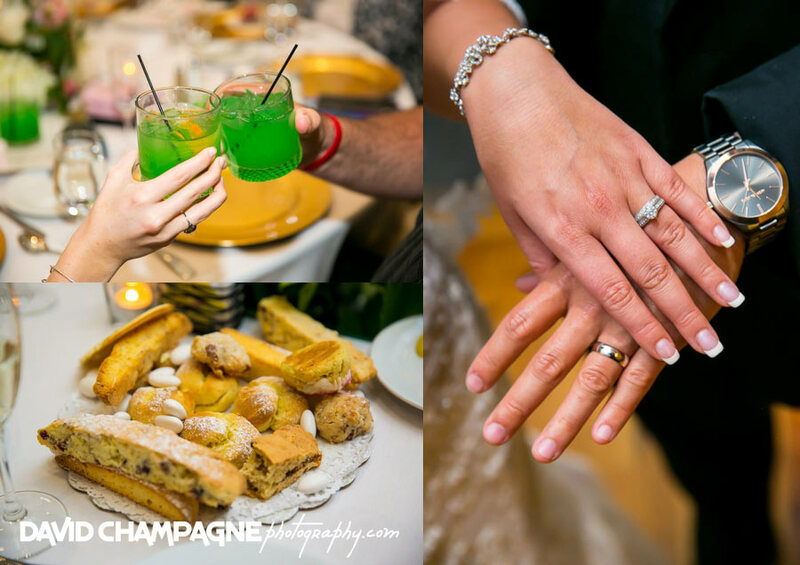 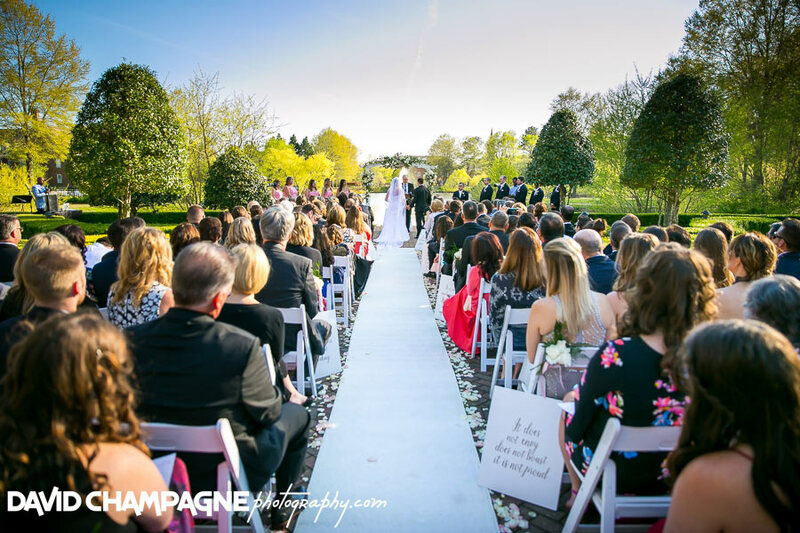 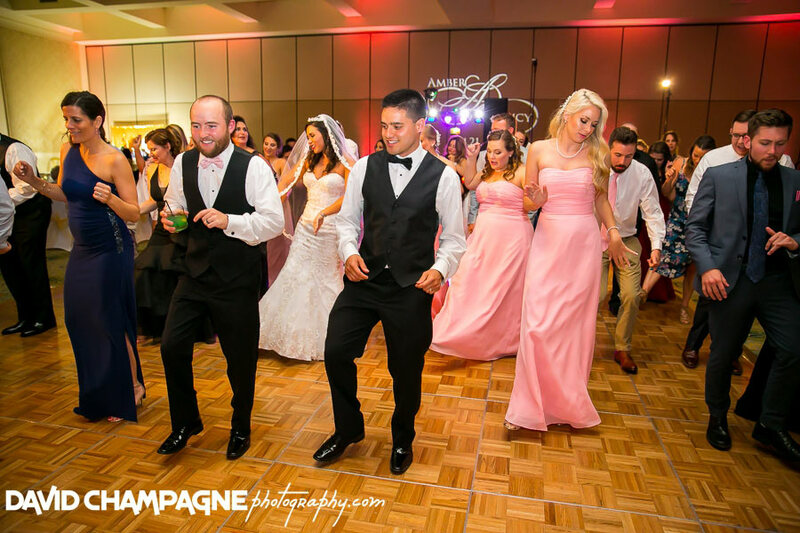 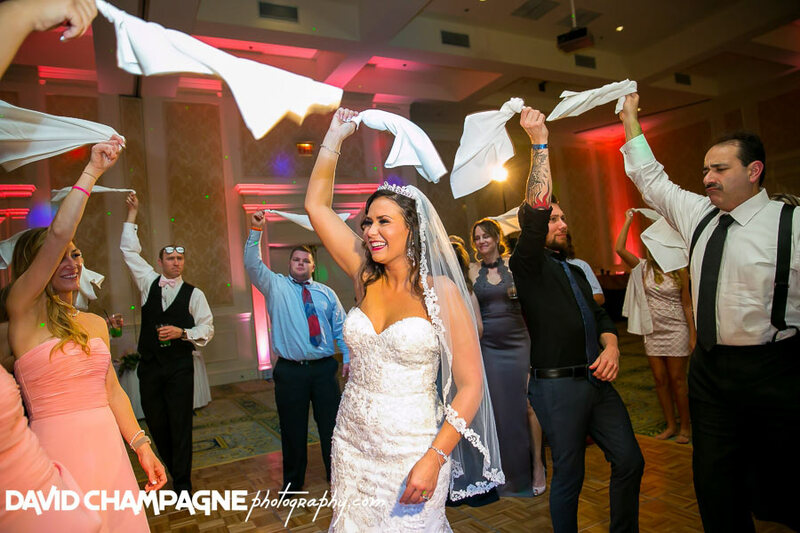 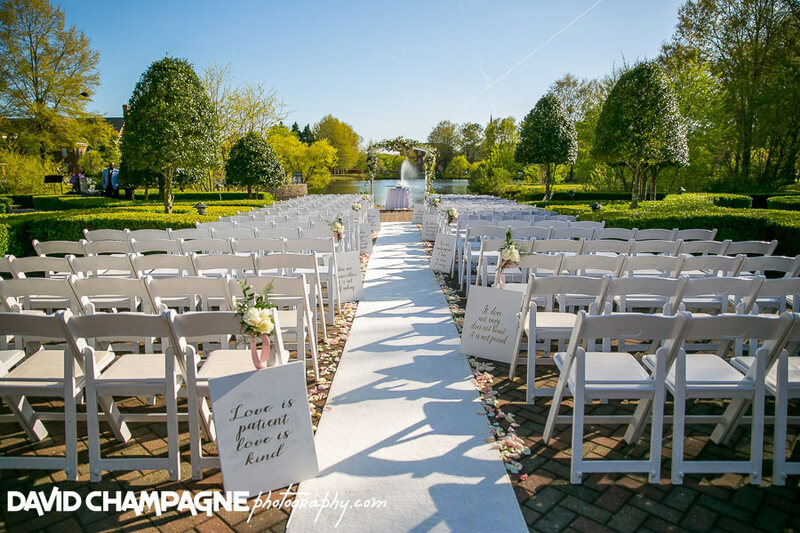 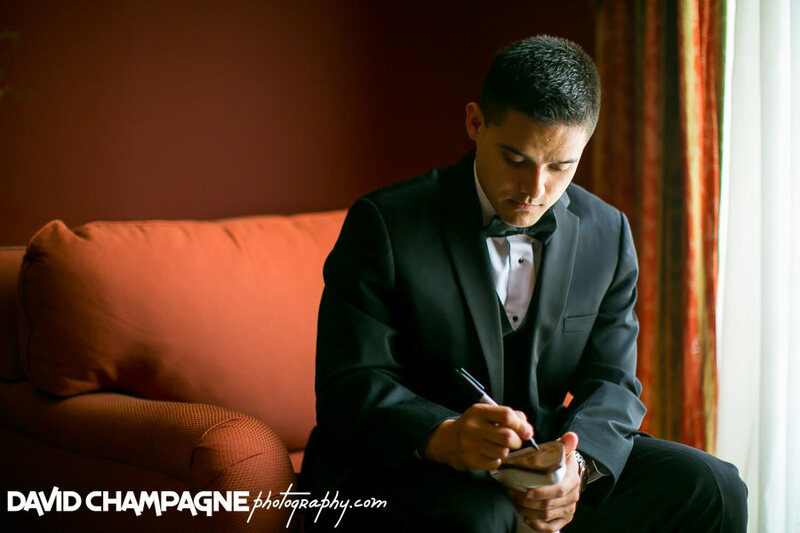 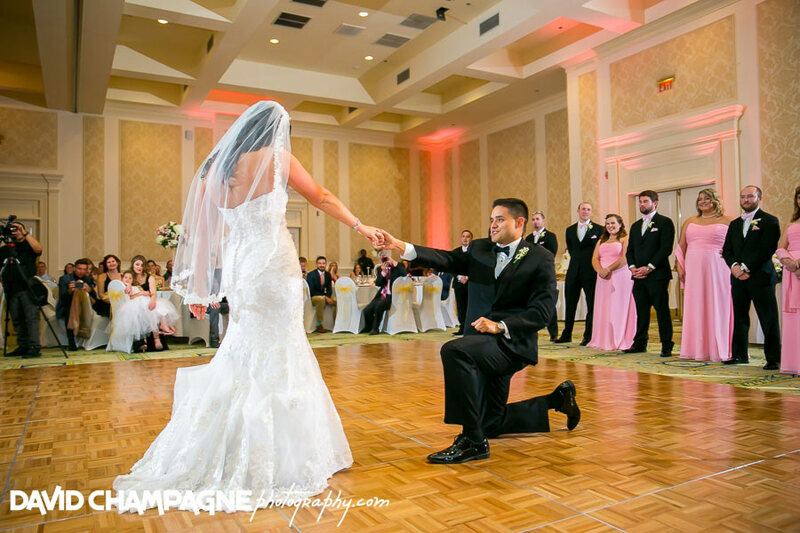 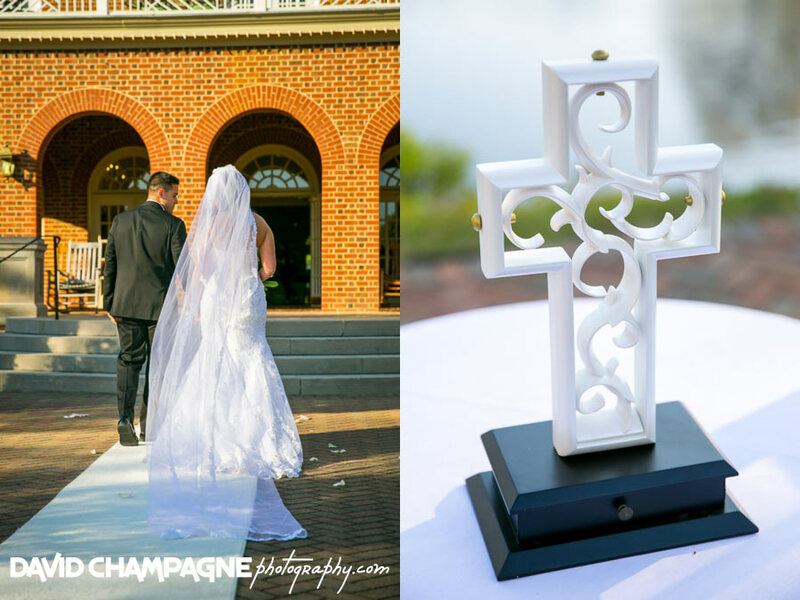 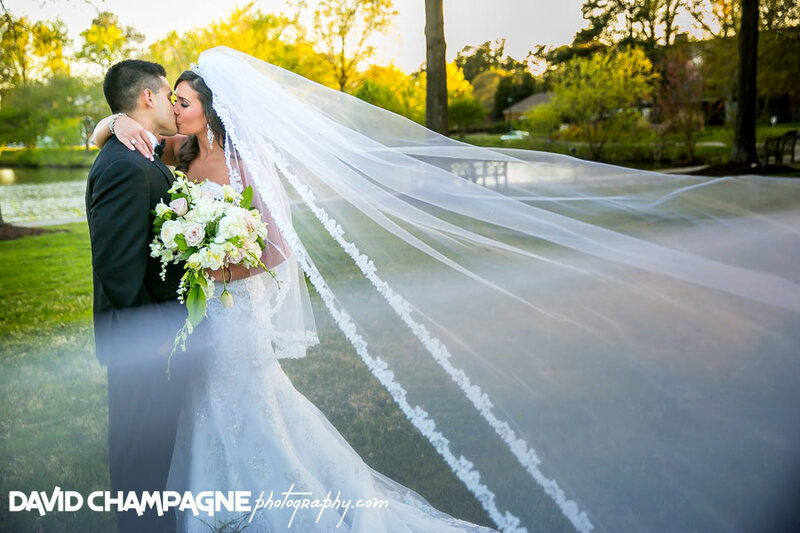 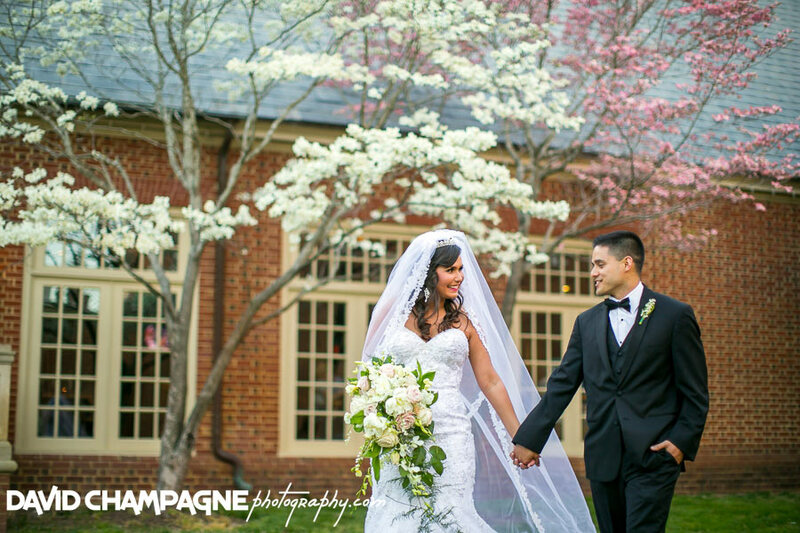 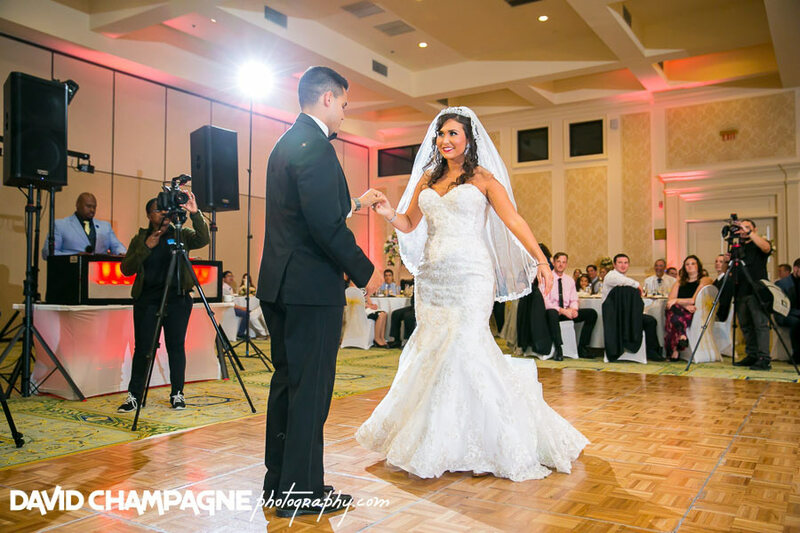 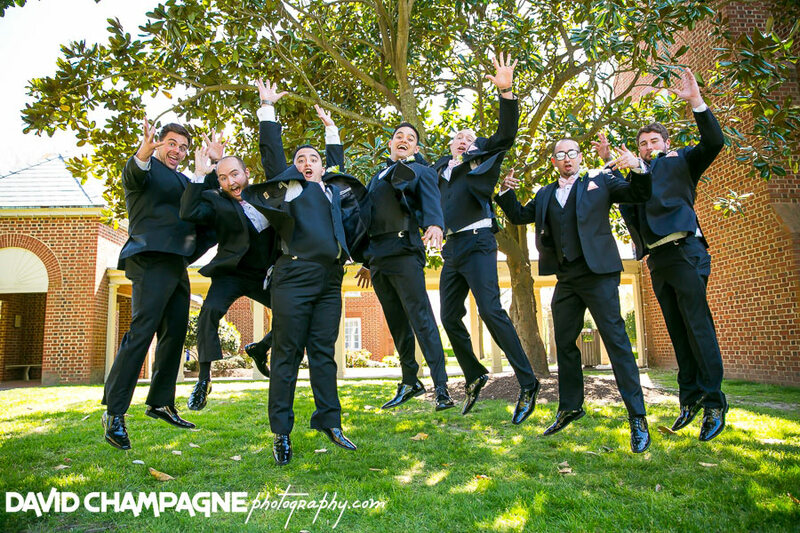 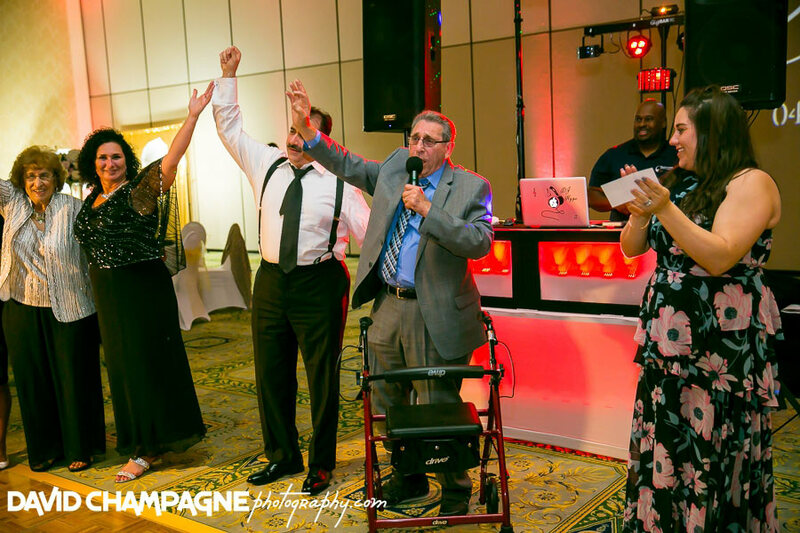 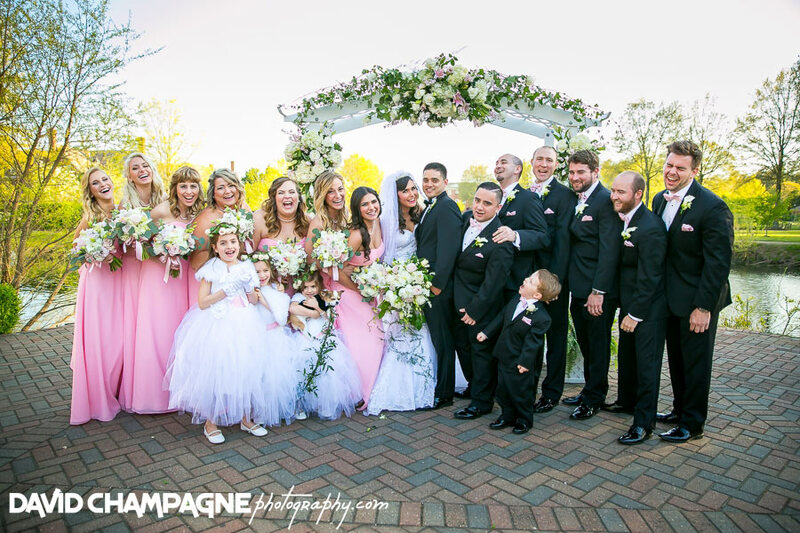 Amber and Quincy had their wedding and reception at the Founders Inn and Spa in Virginia Beach, VA. Also, check out the following links to view their Slideshow, Online Gallery, and Facebook Post in a new window and feel free to leave comments! 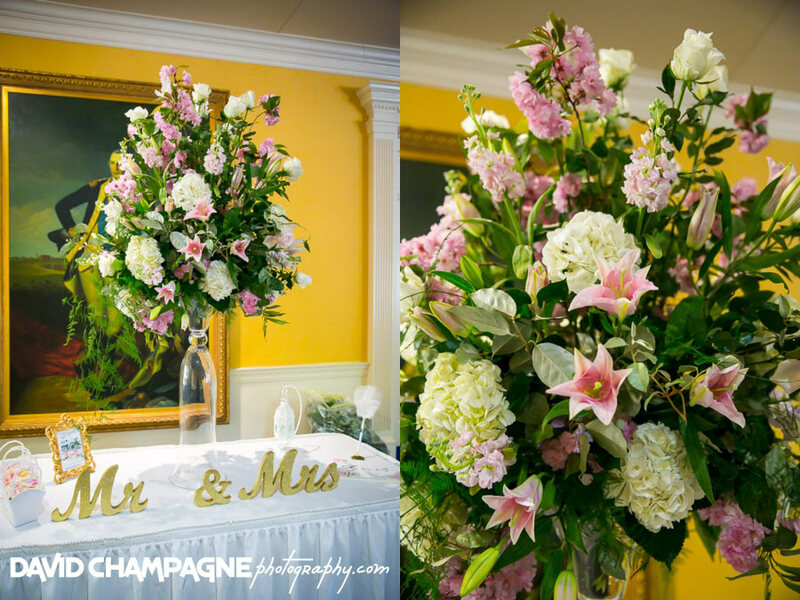 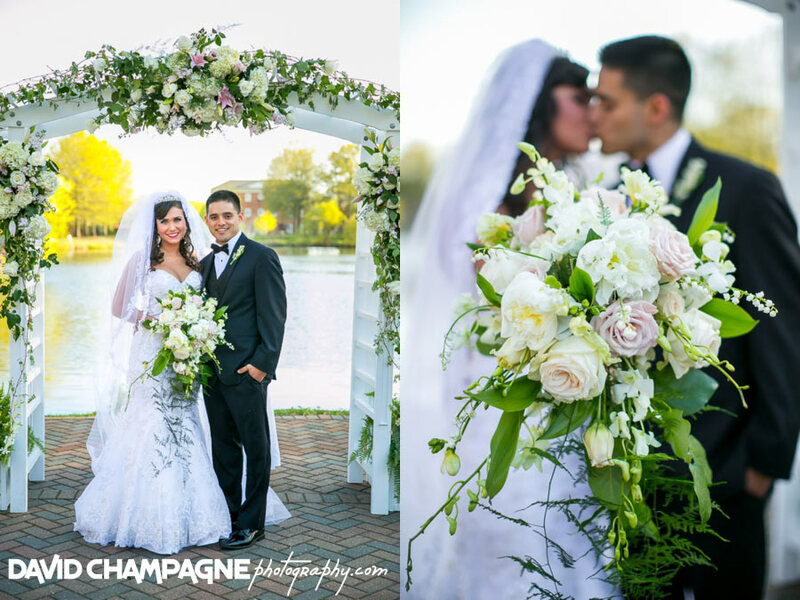 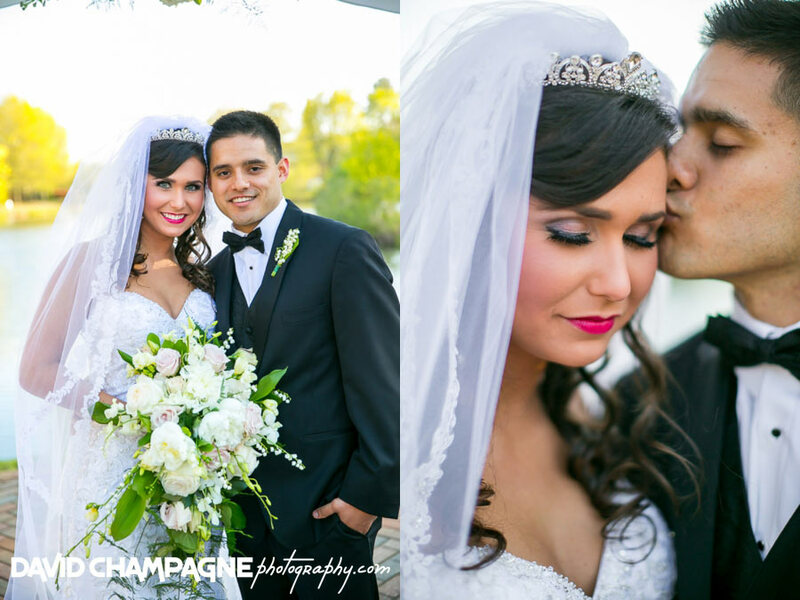 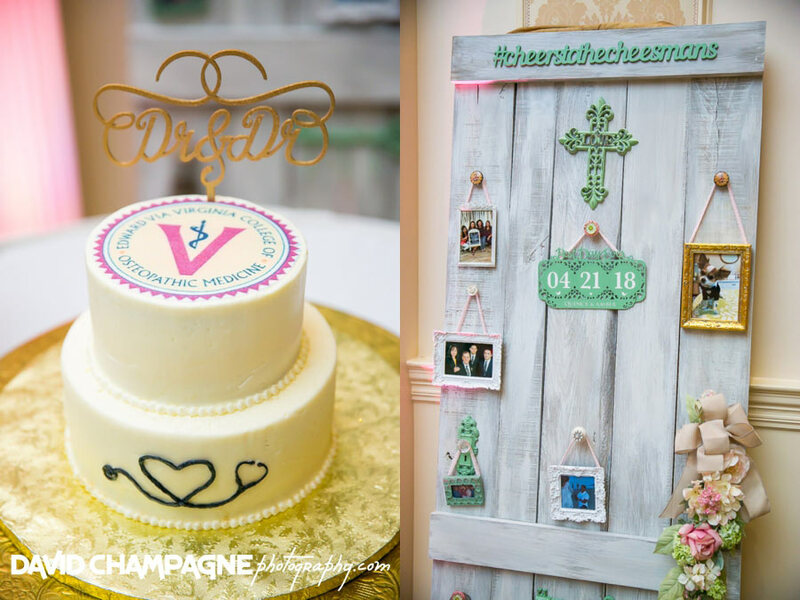 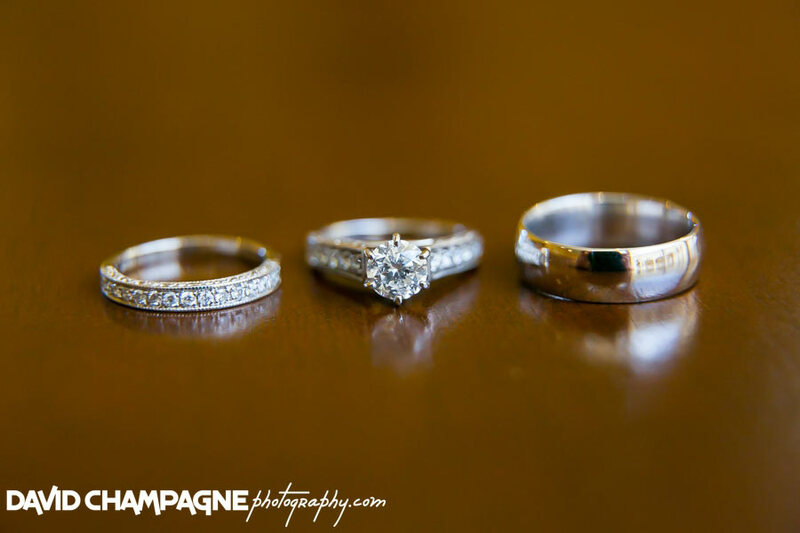 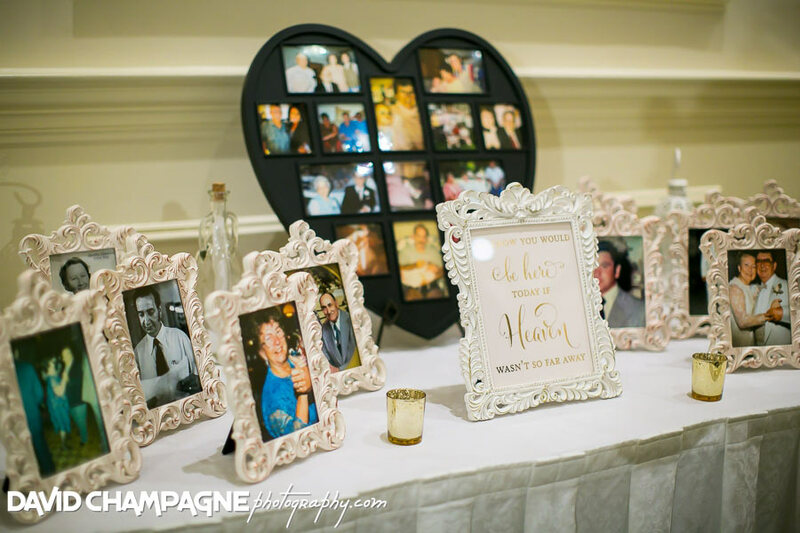 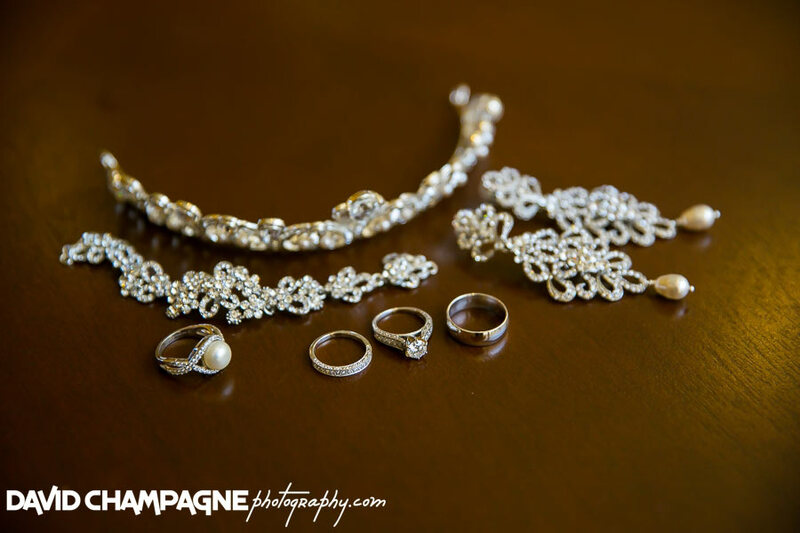 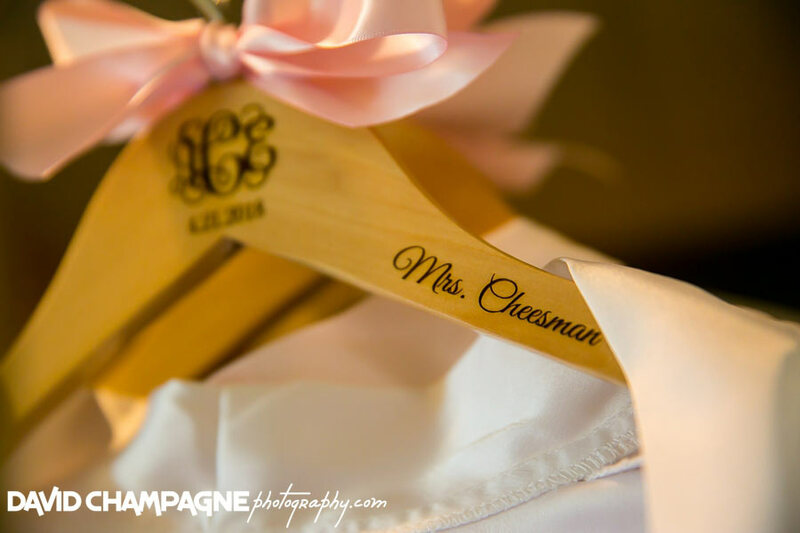 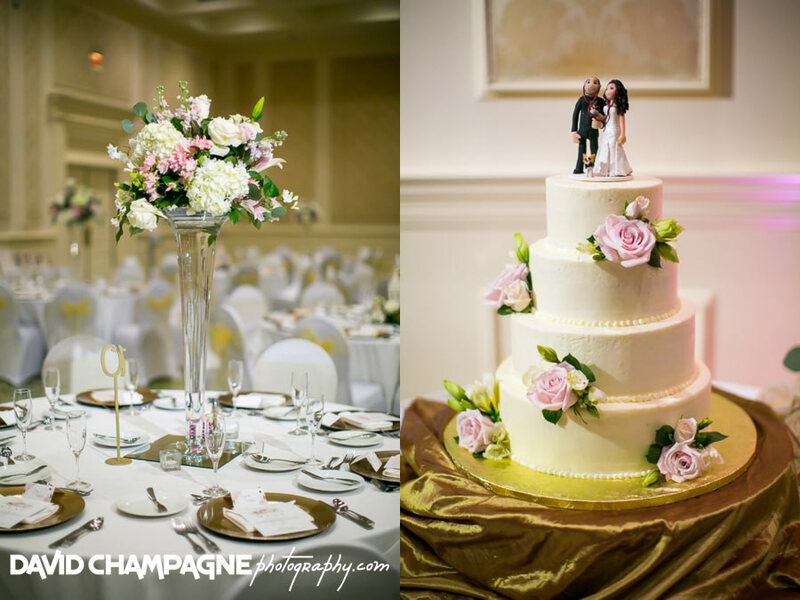 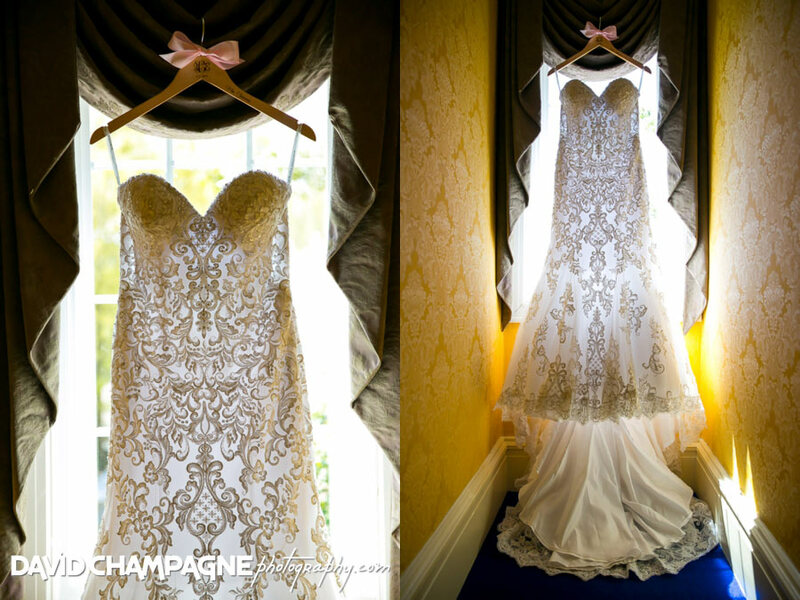 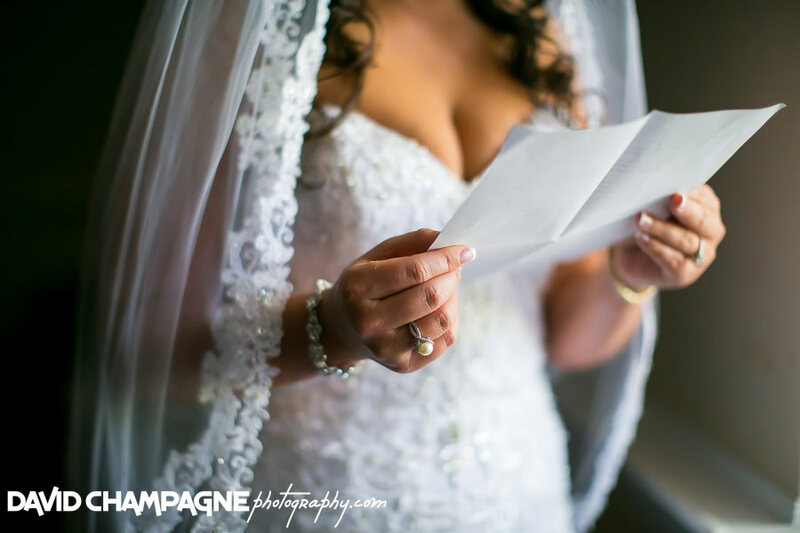 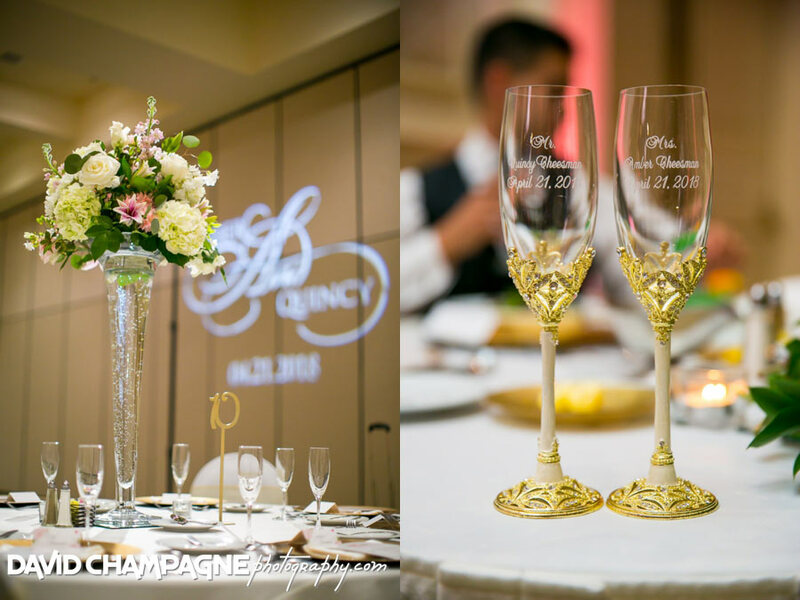 The bride and groom had so many lovely details at their wedding. 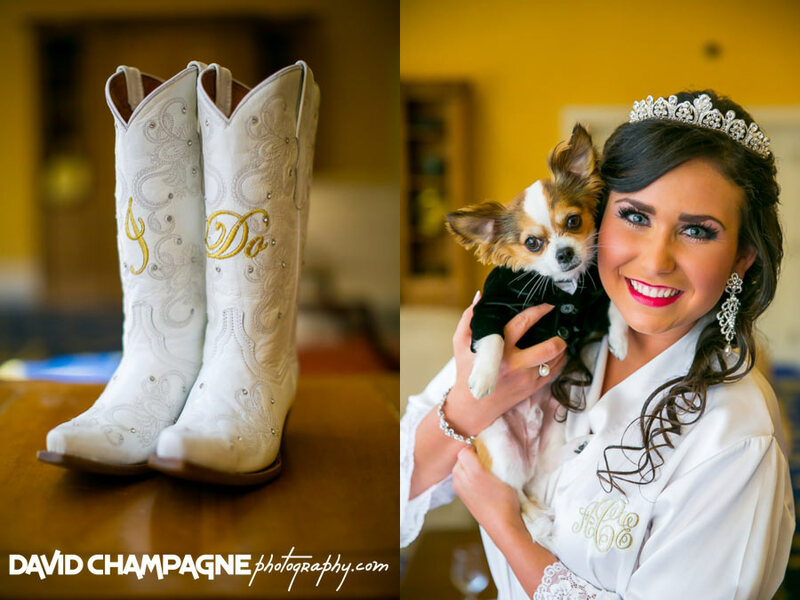 The bride wore boots during the wedding. 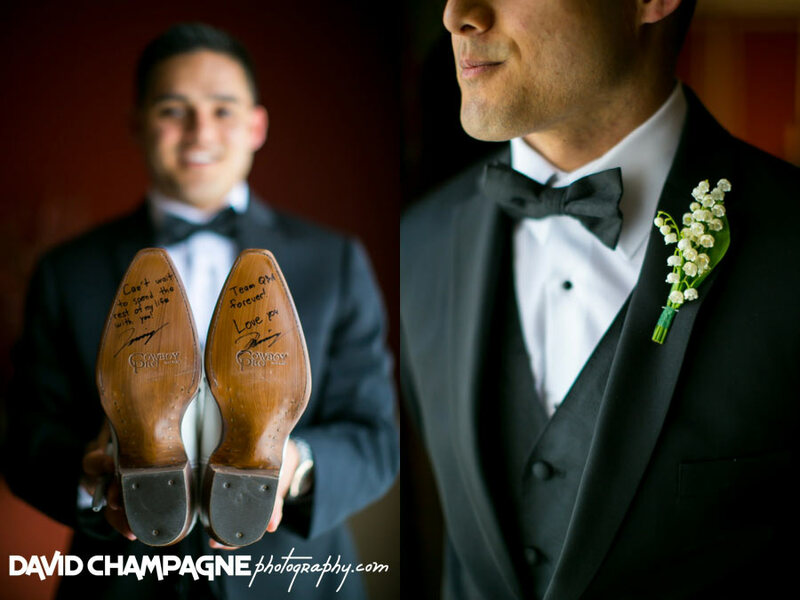 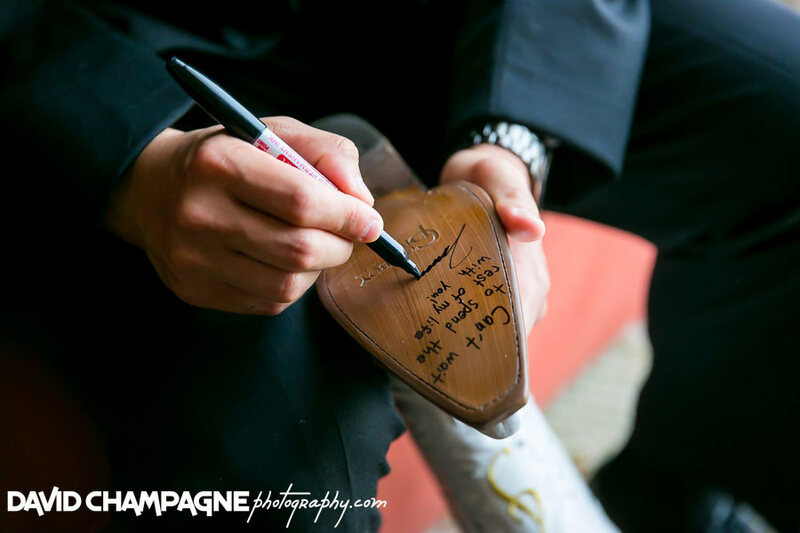 Also, the groom surprised her by writing a love note on the bottom of her boots. 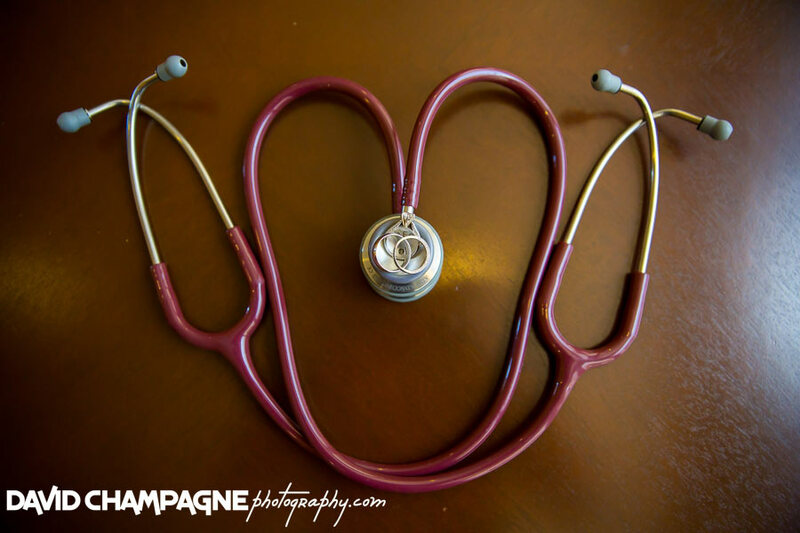 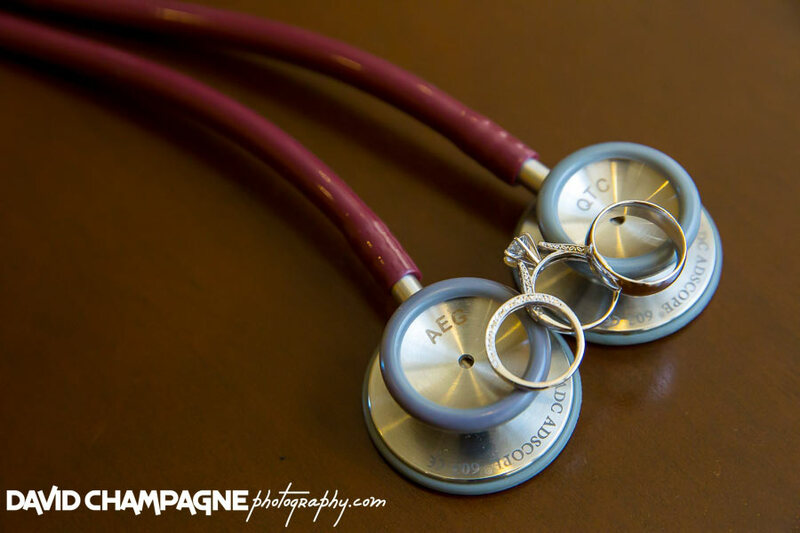 Amber and Quincy are both doctors, so we took some ring pictures with their stethoscopes. 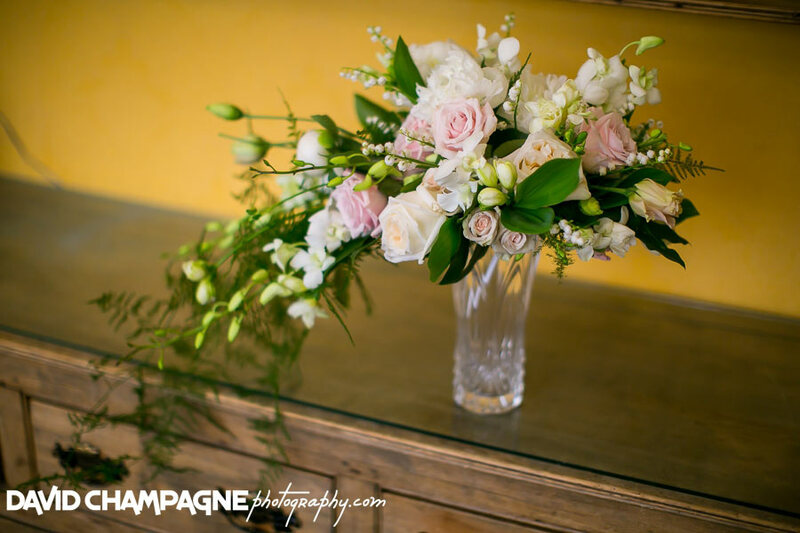 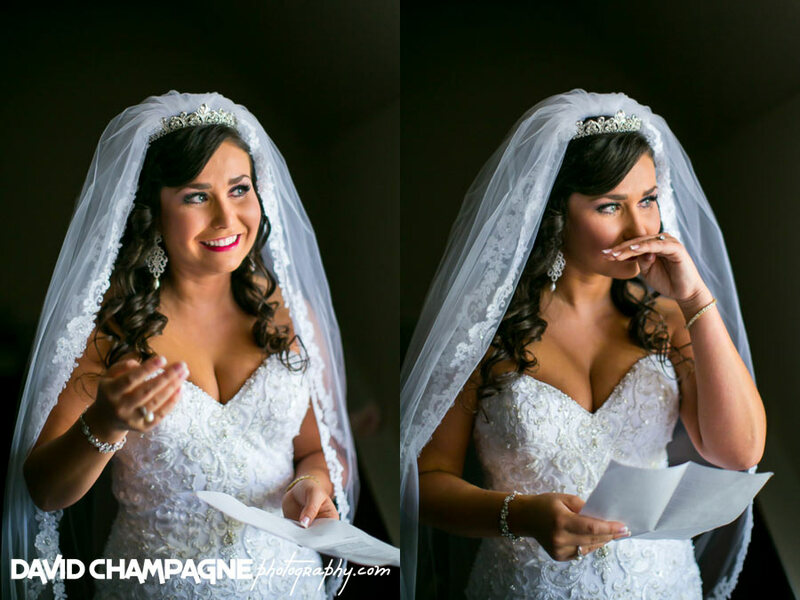 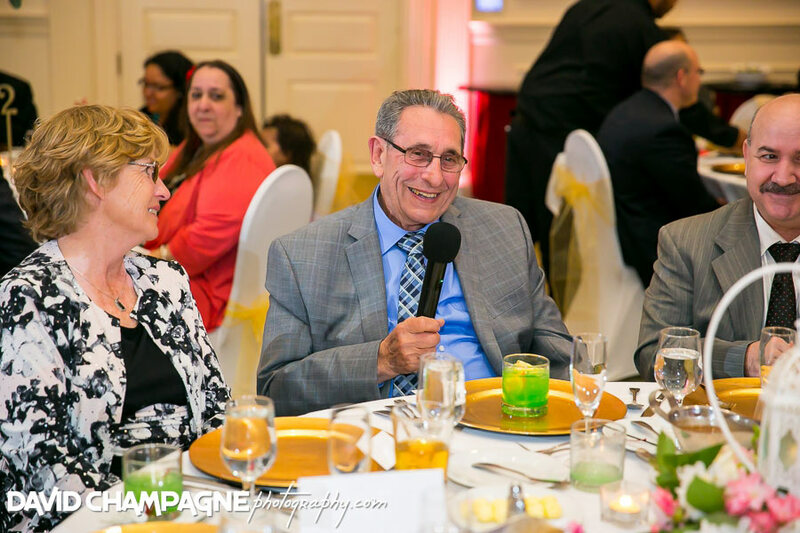 The vase holding the bride’s bouquet was gift to the bride from her late grandfather. 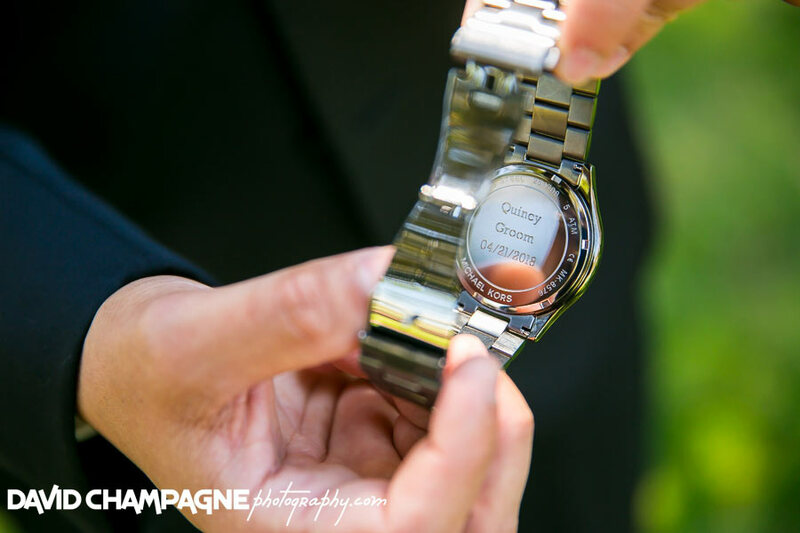 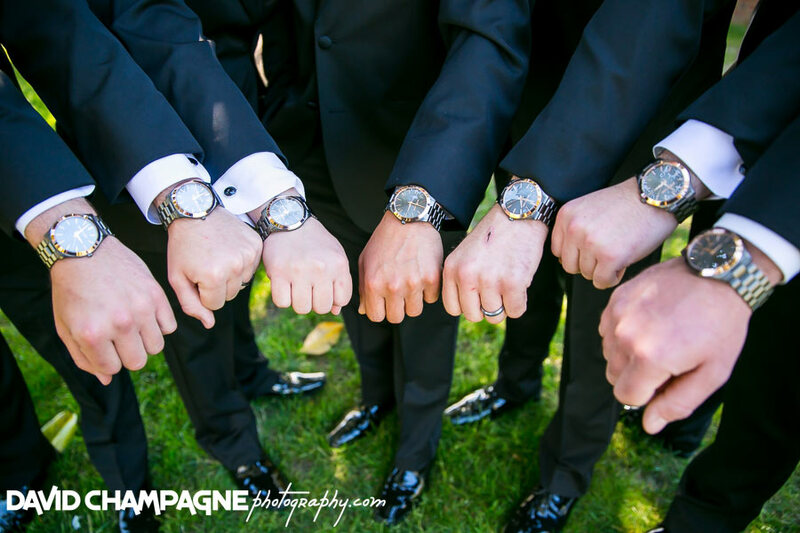 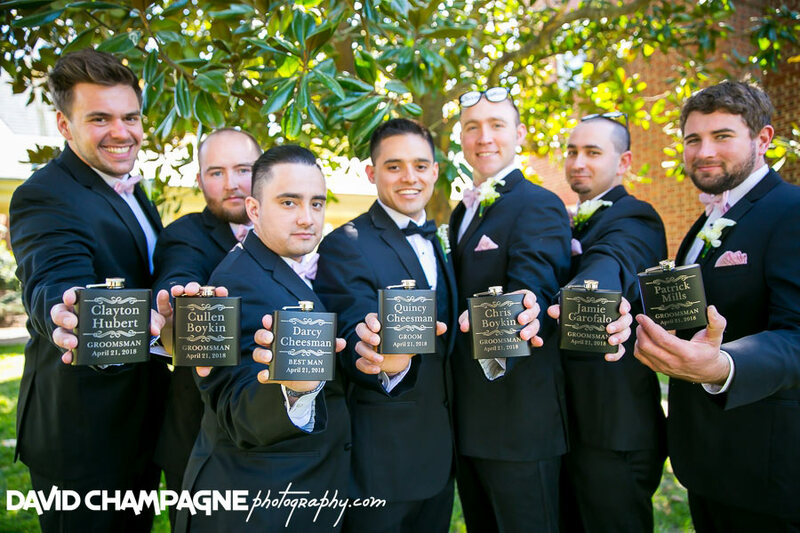 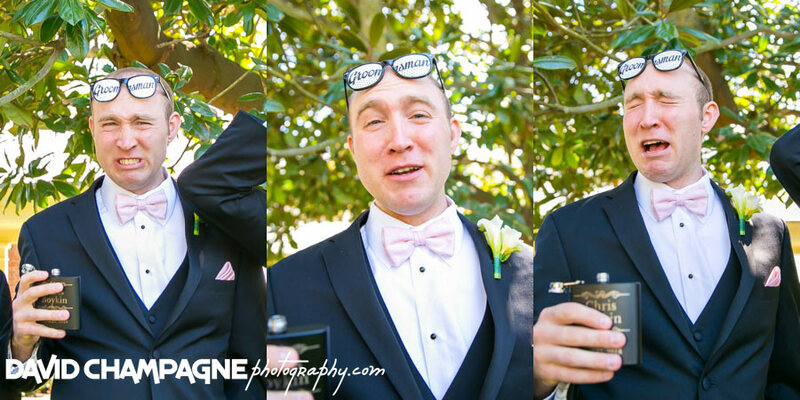 The groomsmen gifts were all custom engraved watches and flasks. 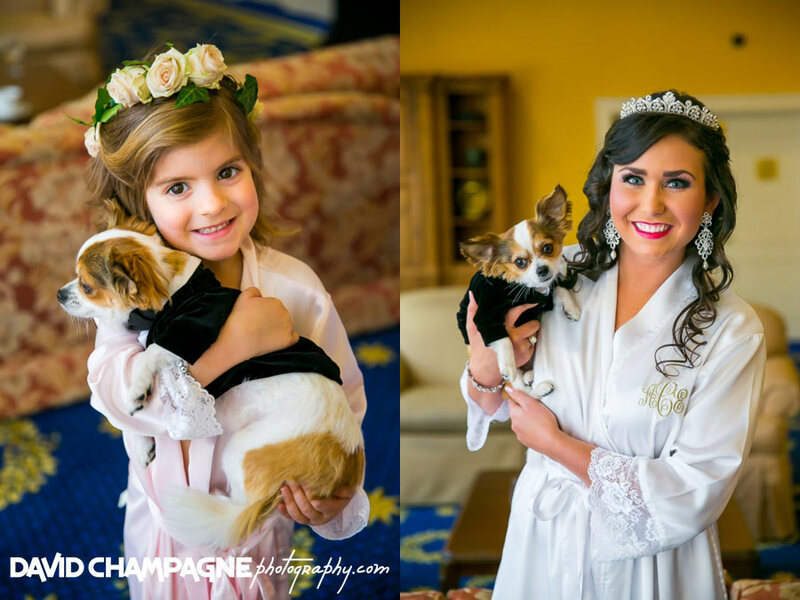 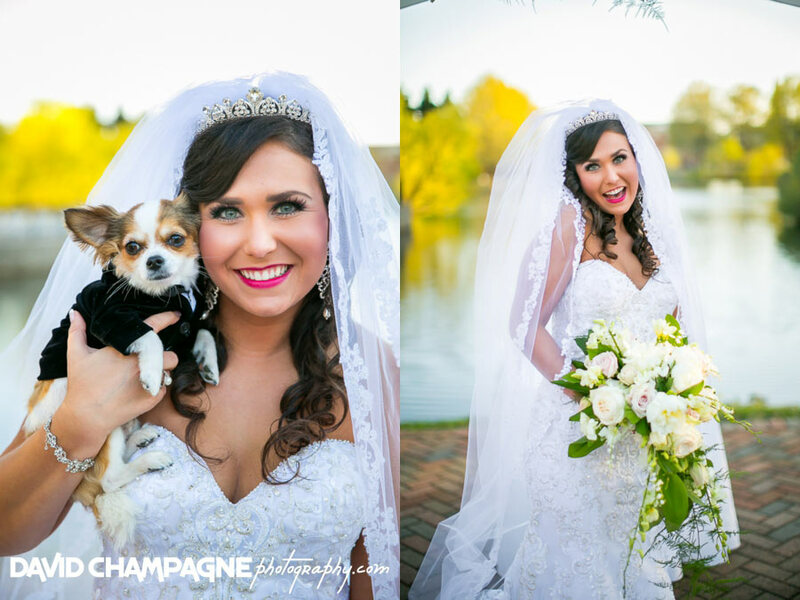 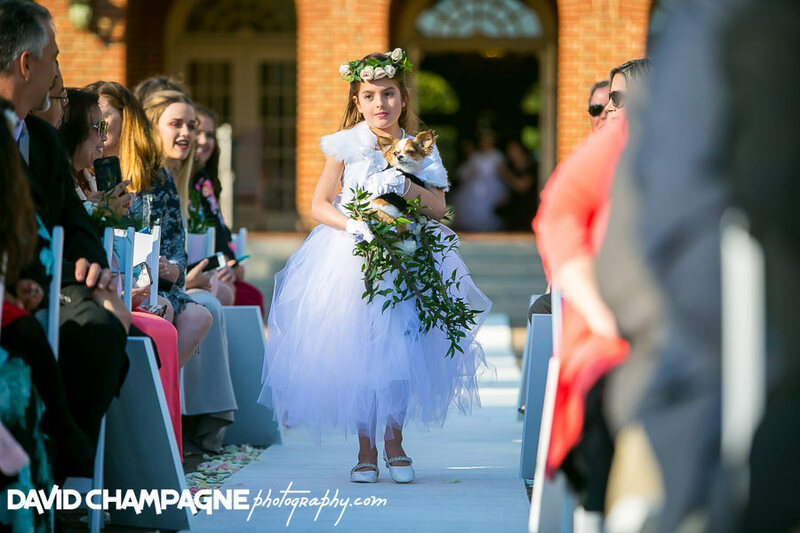 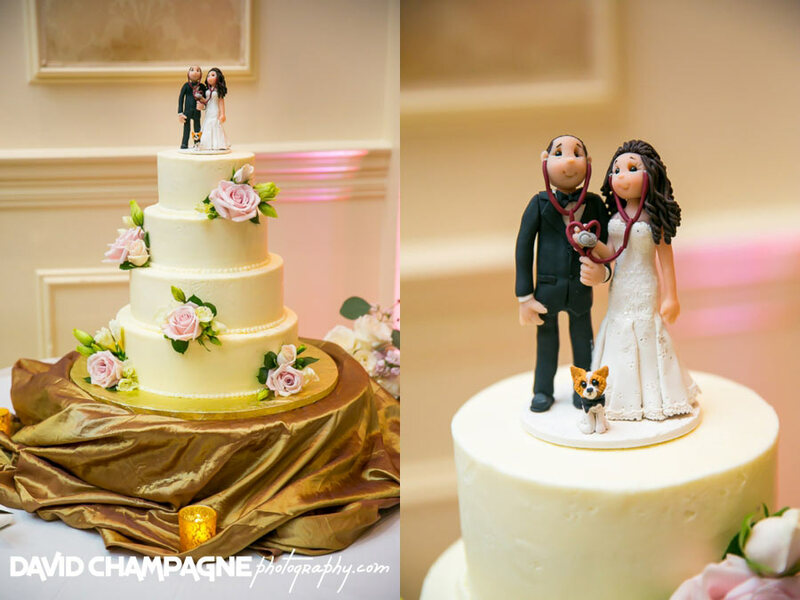 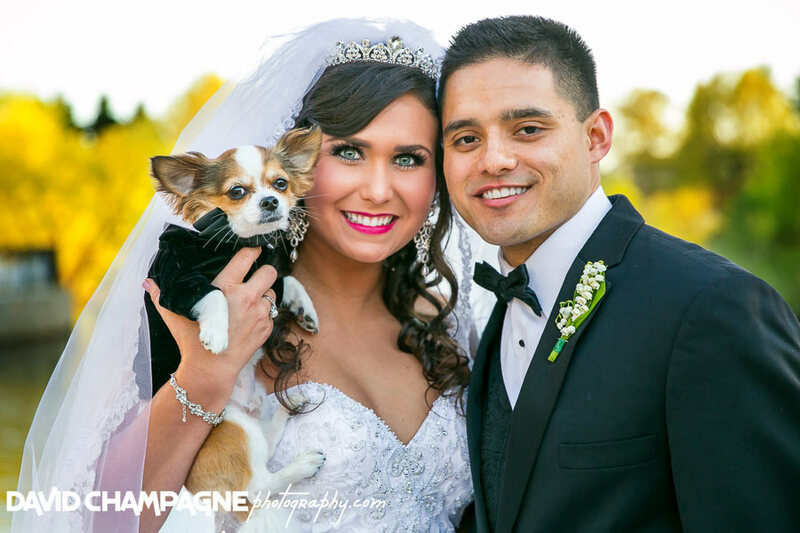 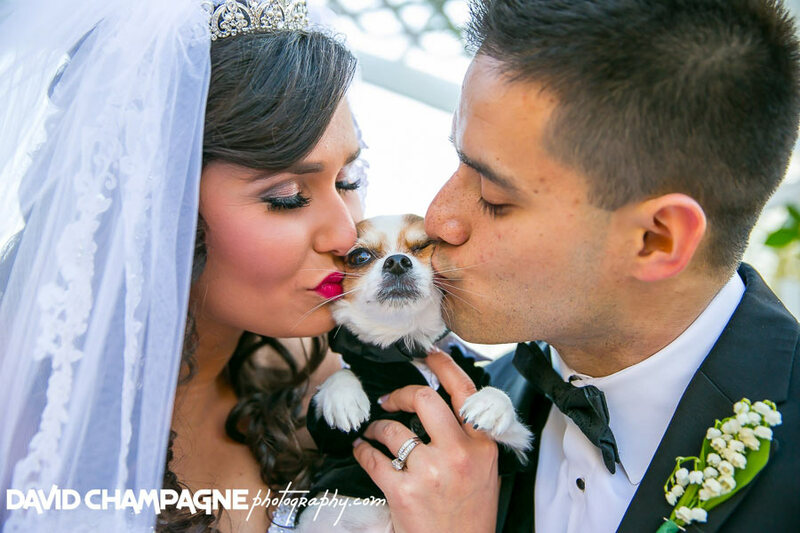 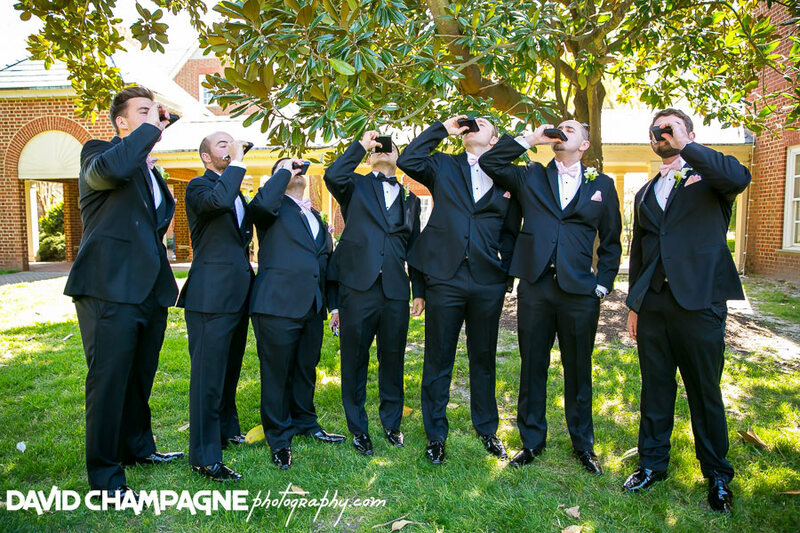 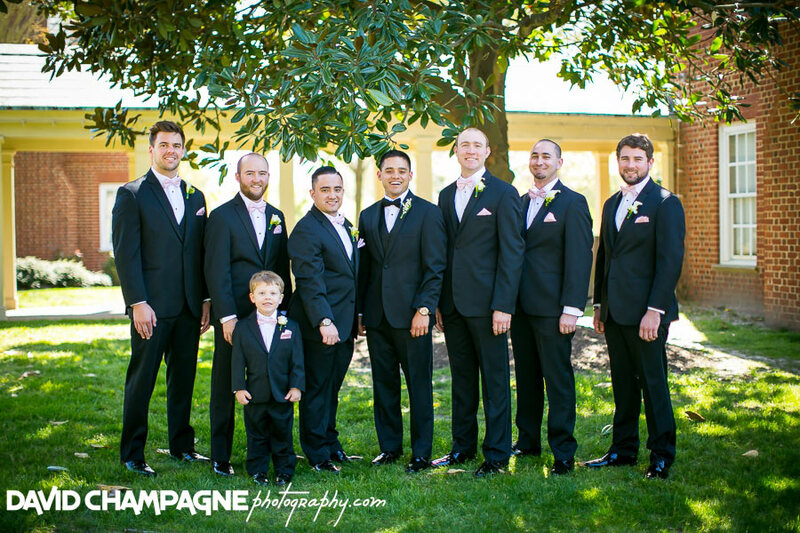 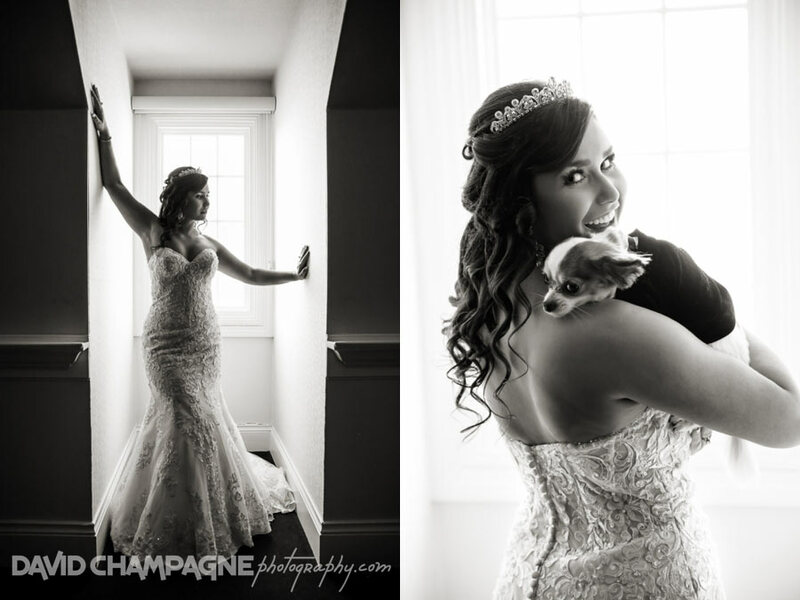 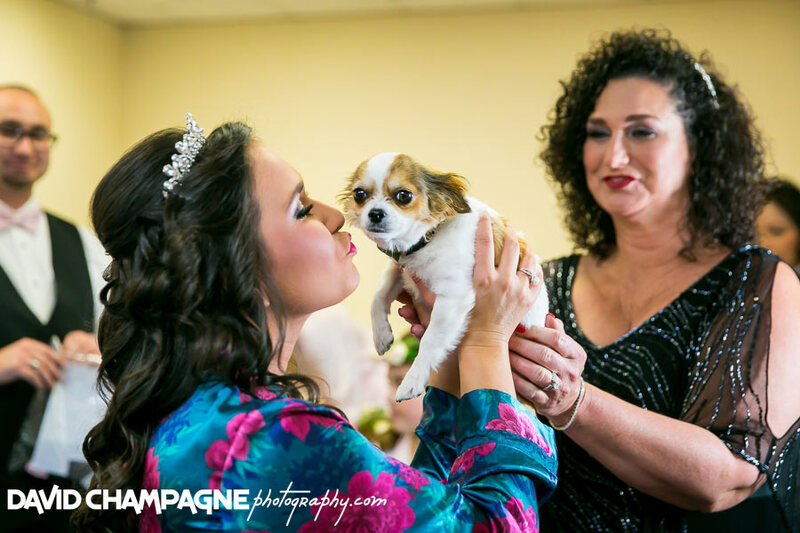 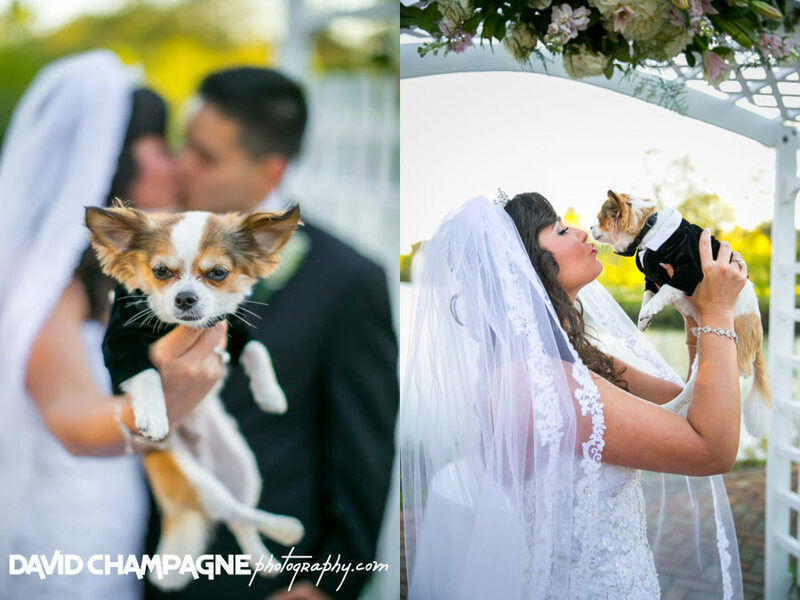 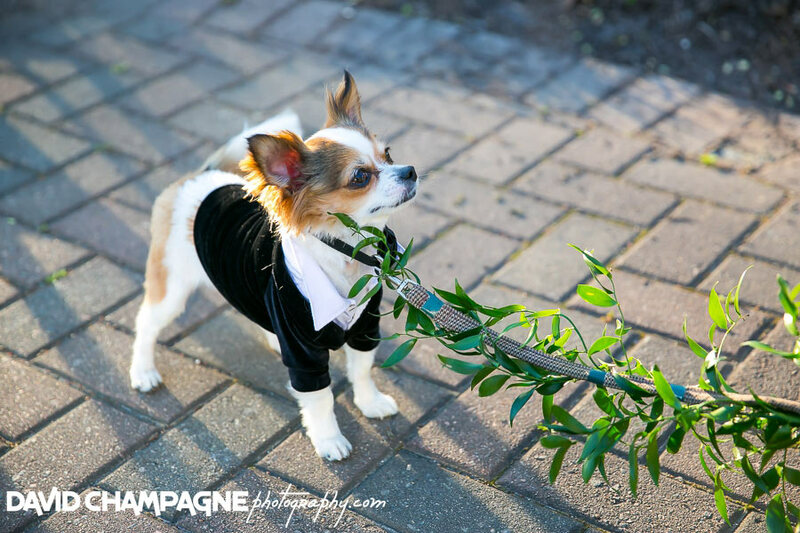 The couple’s Chihuahua stole the show in his tuxedo. 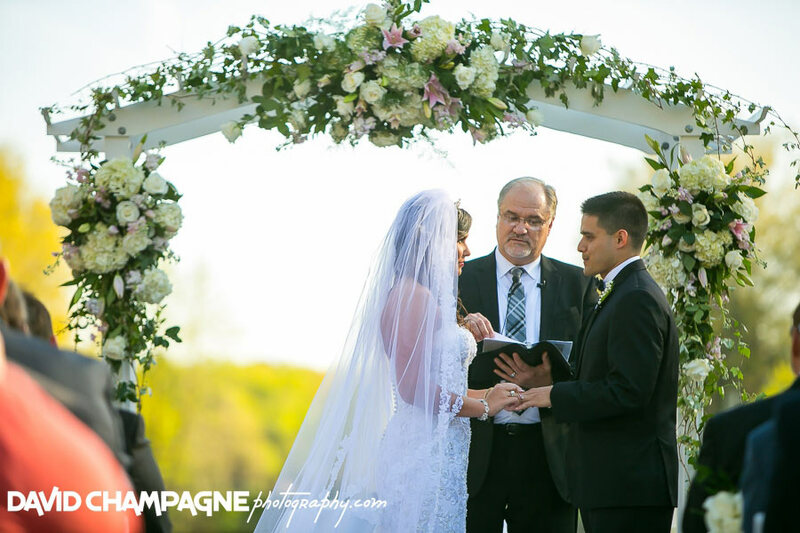 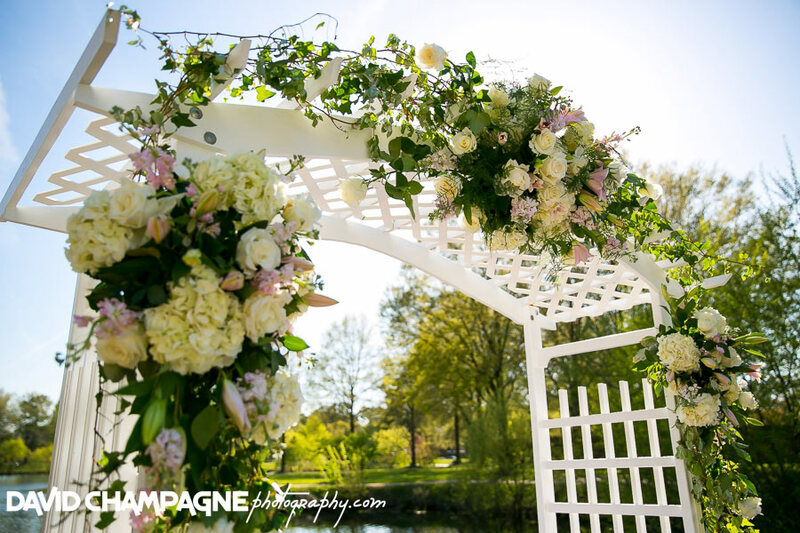 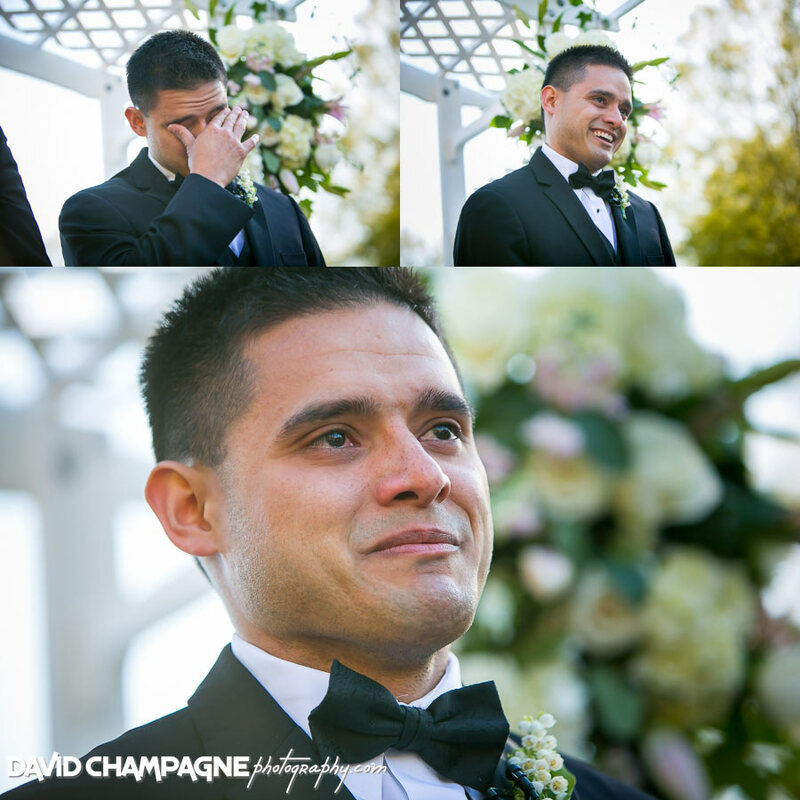 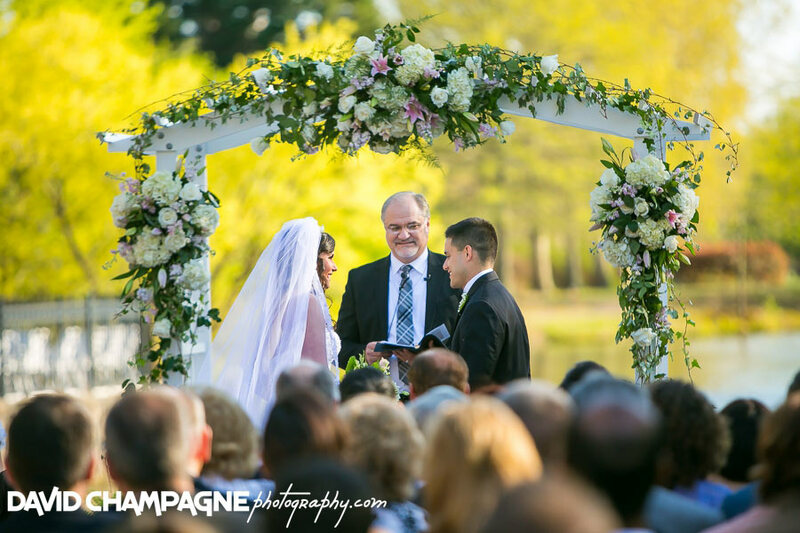 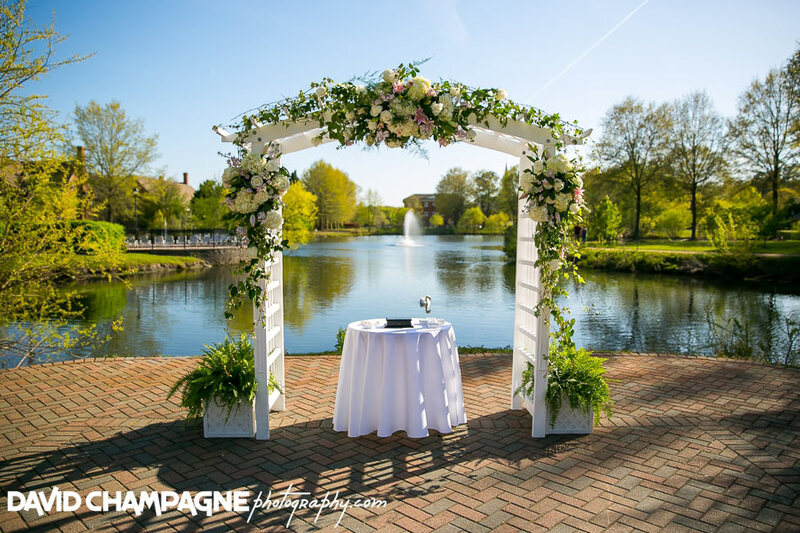 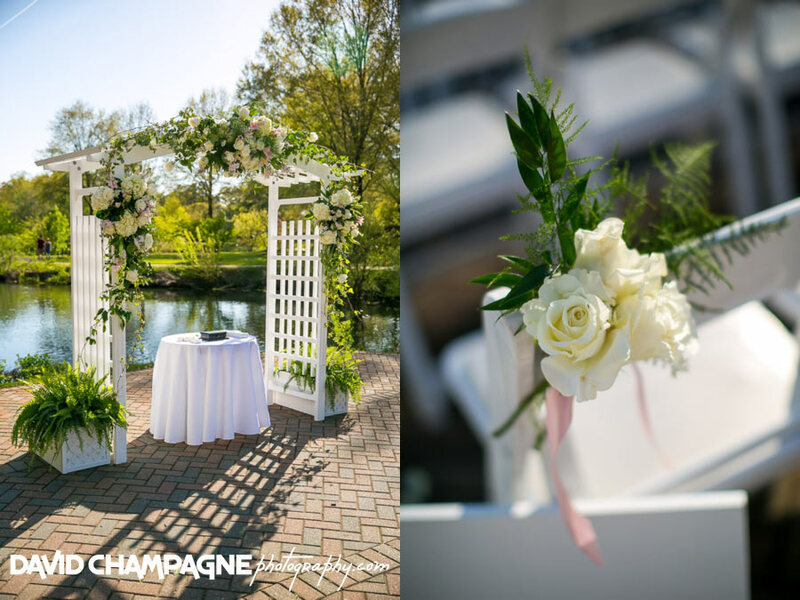 The groom’s father built the wedding ceremony arbor under which the bride and groom gave their vows to each other. 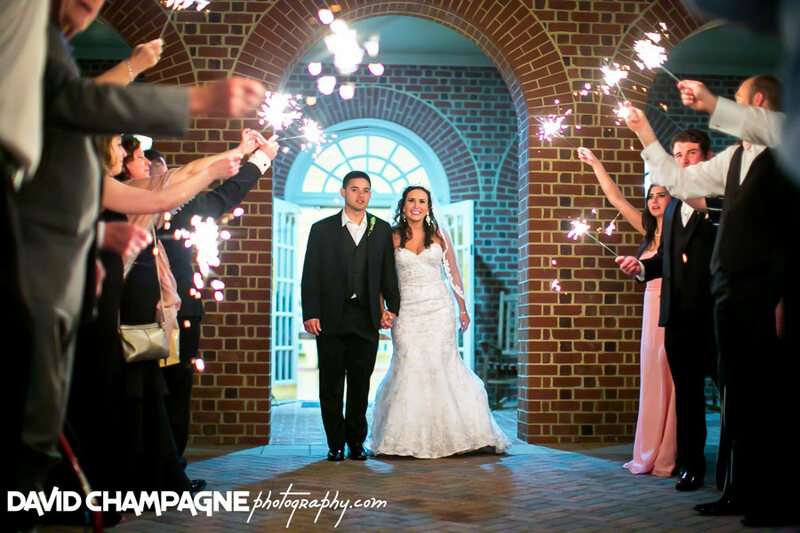 The evening ending with a grand sparkler exit! 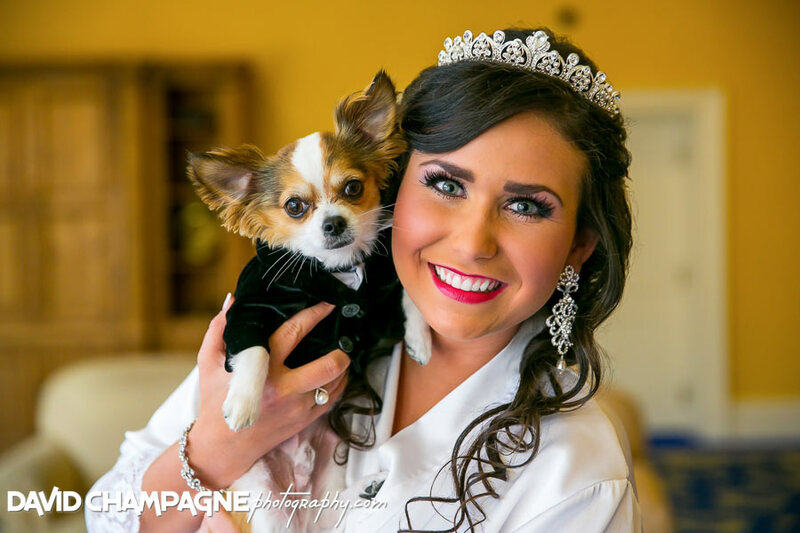 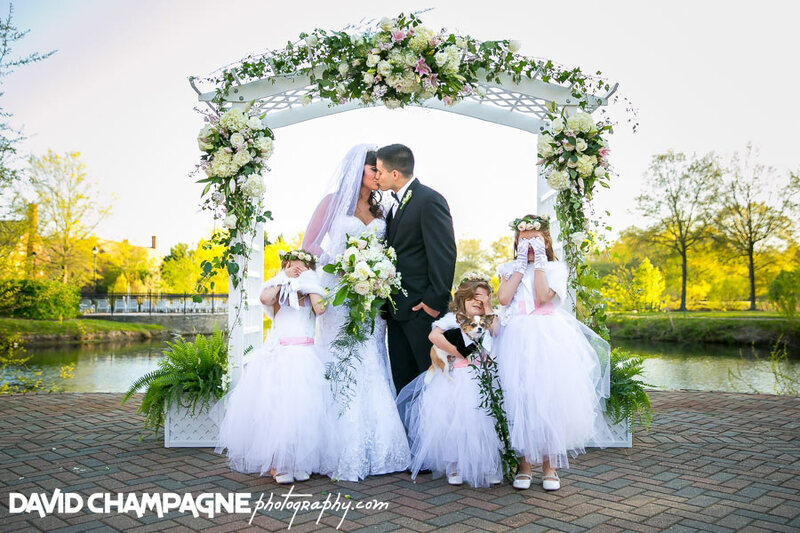 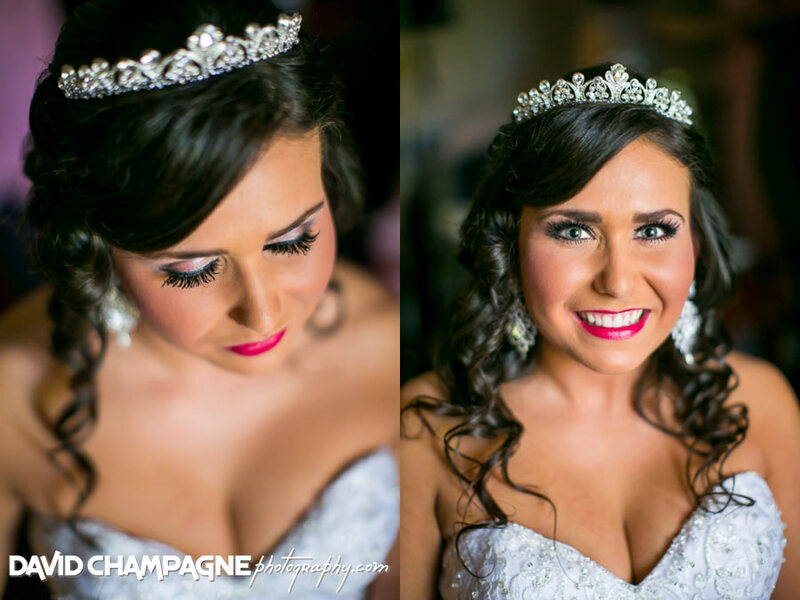 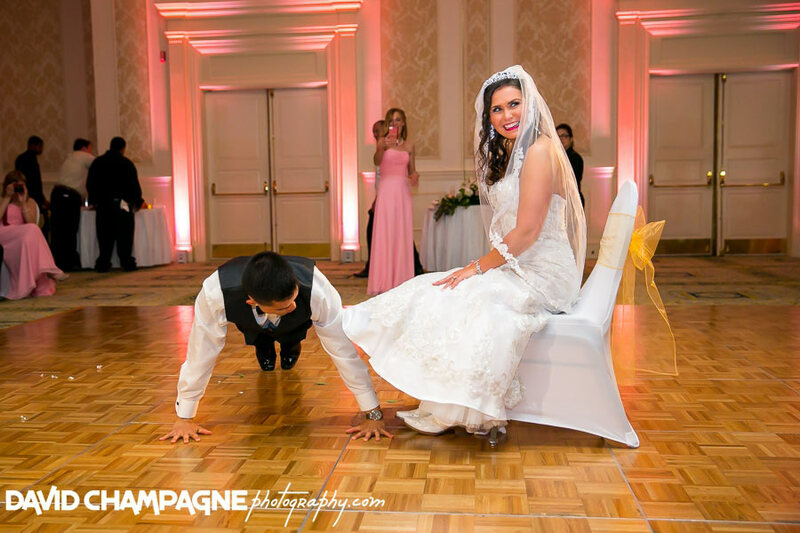 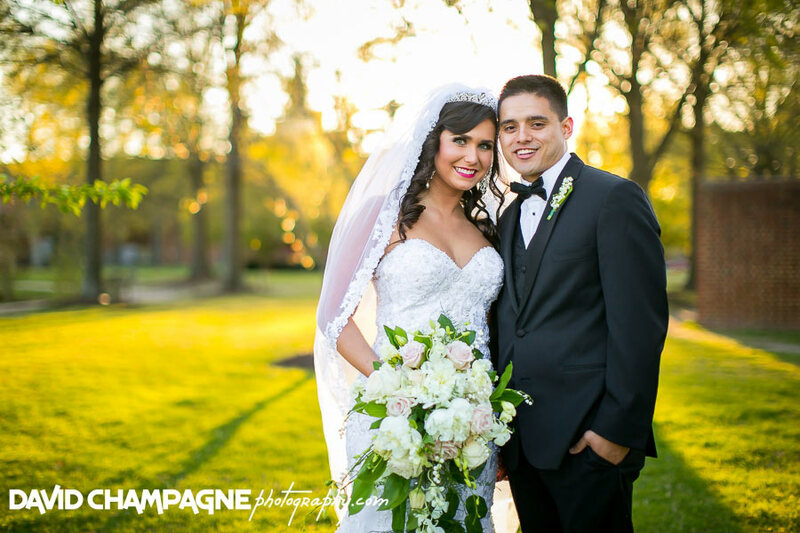 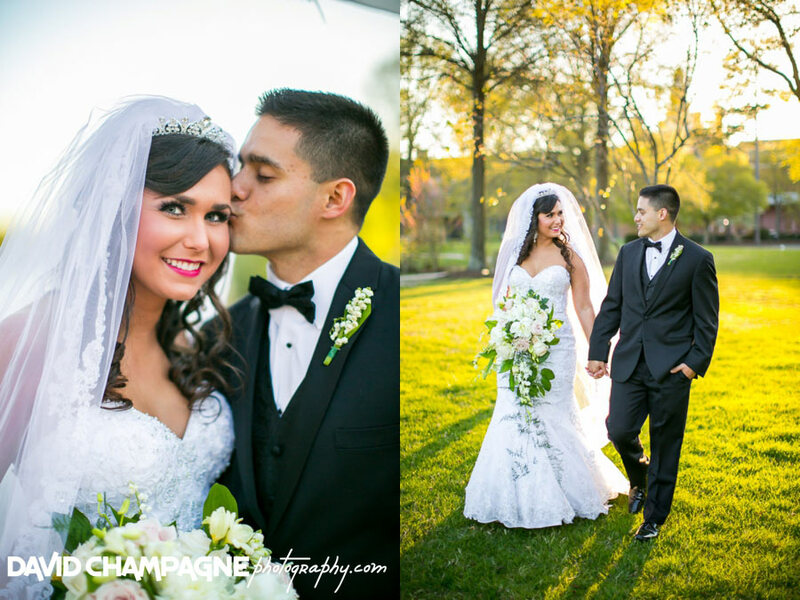 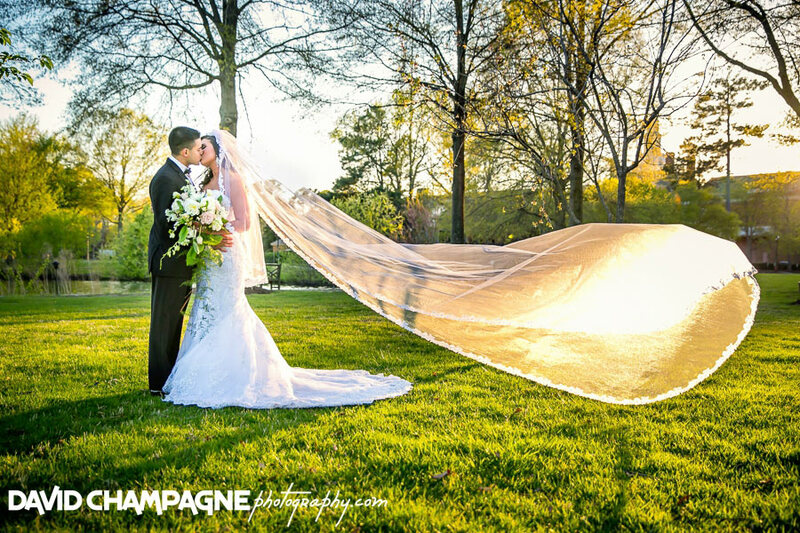 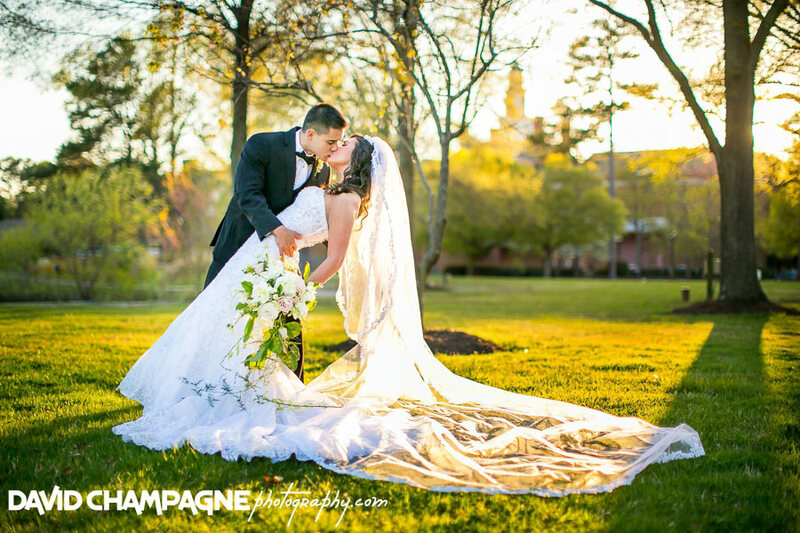 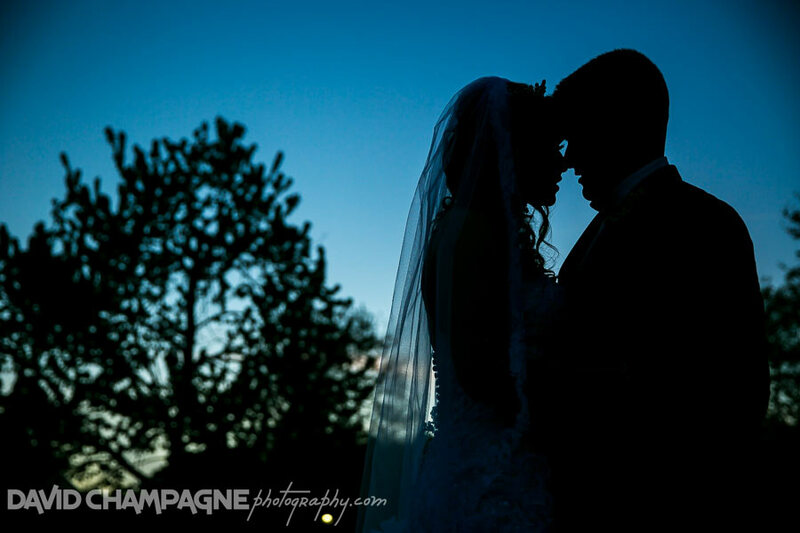 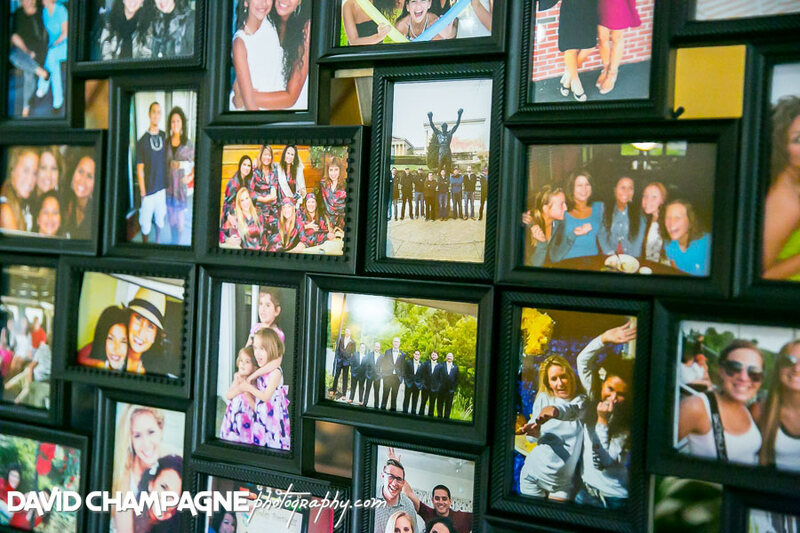 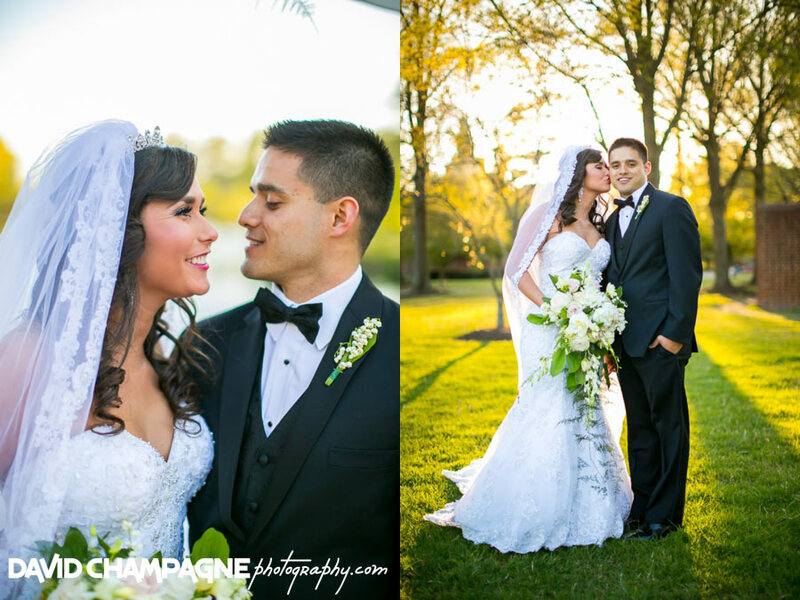 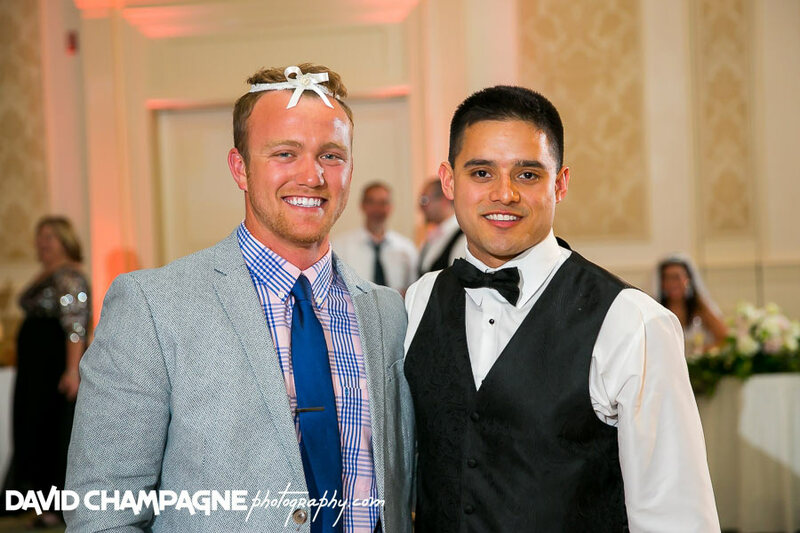 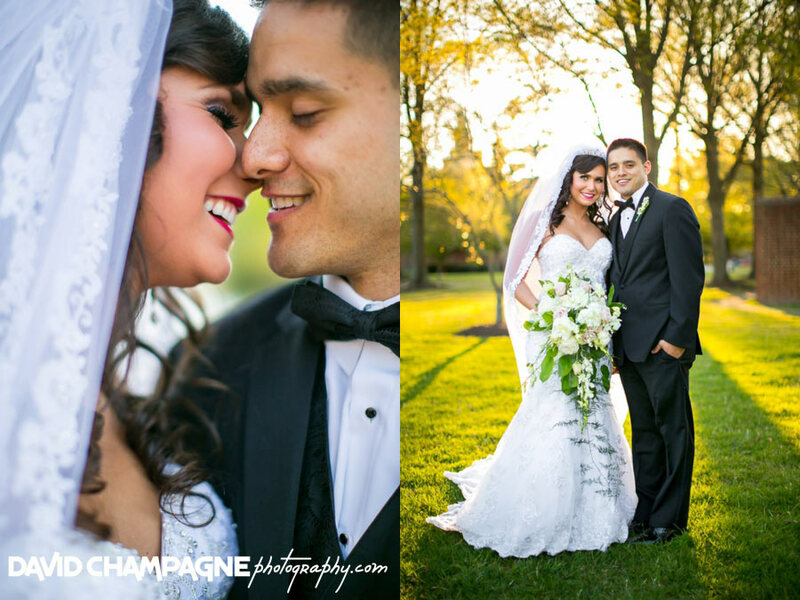 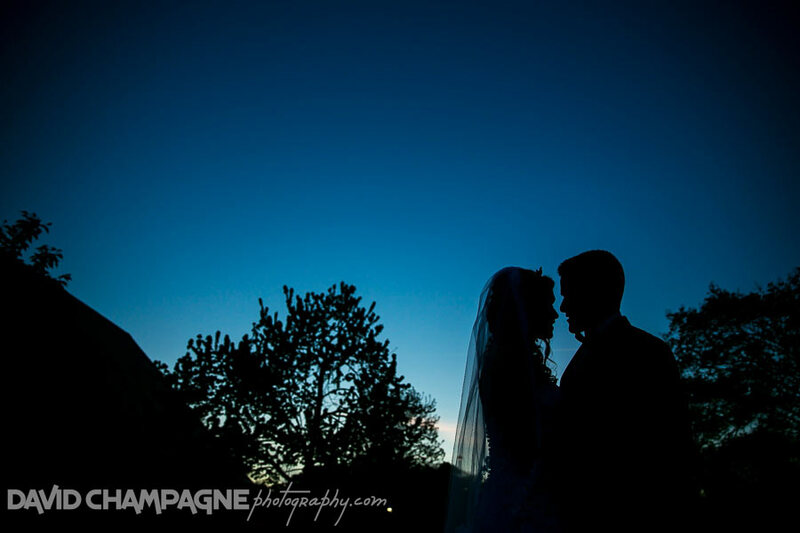 Check out Amber and Quincy’s slideshow!